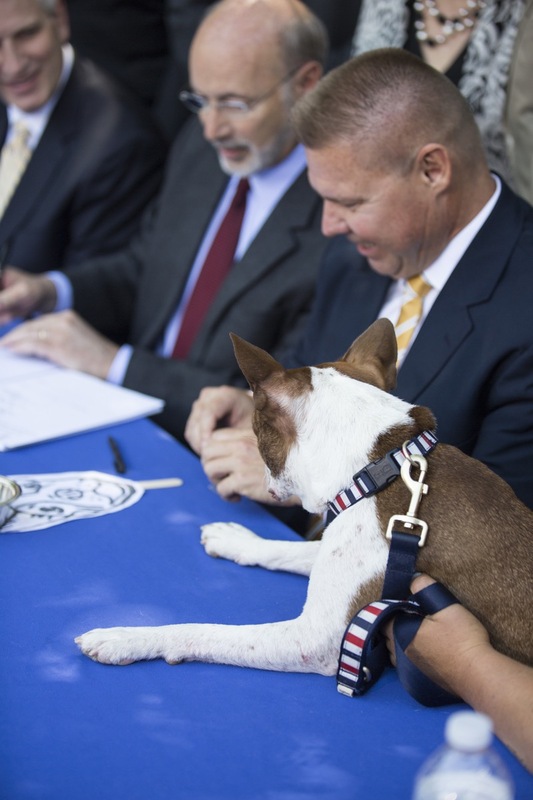 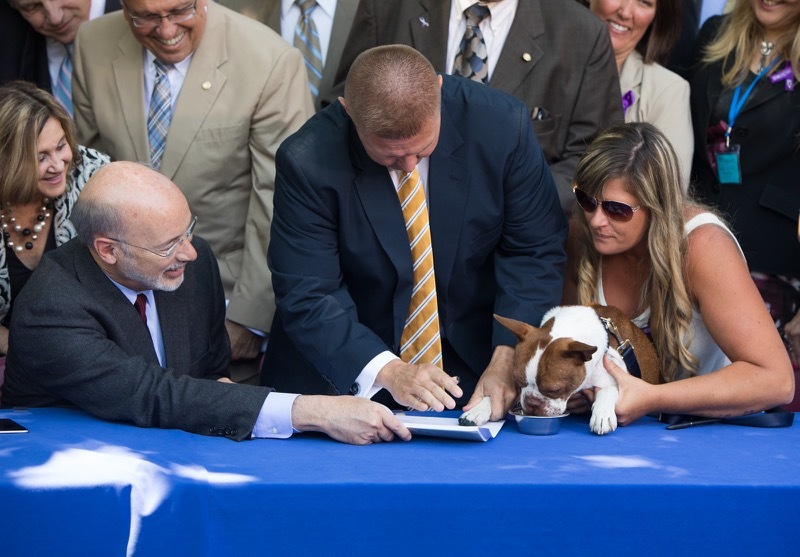 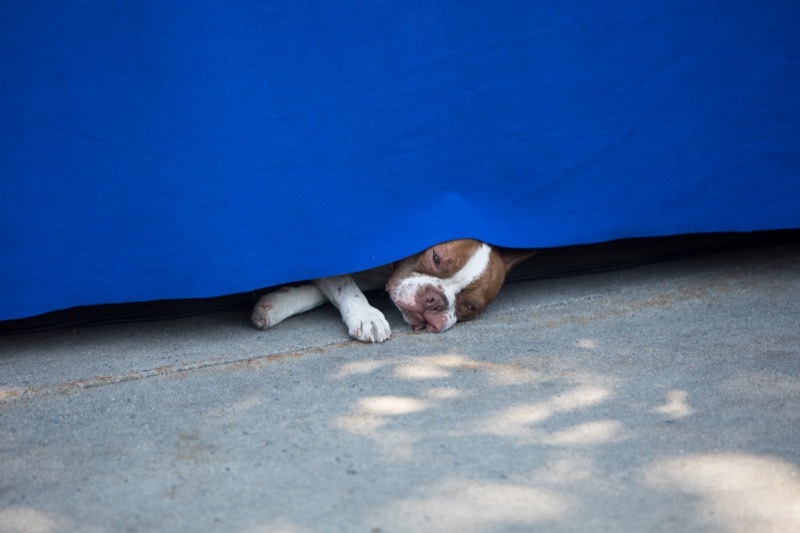 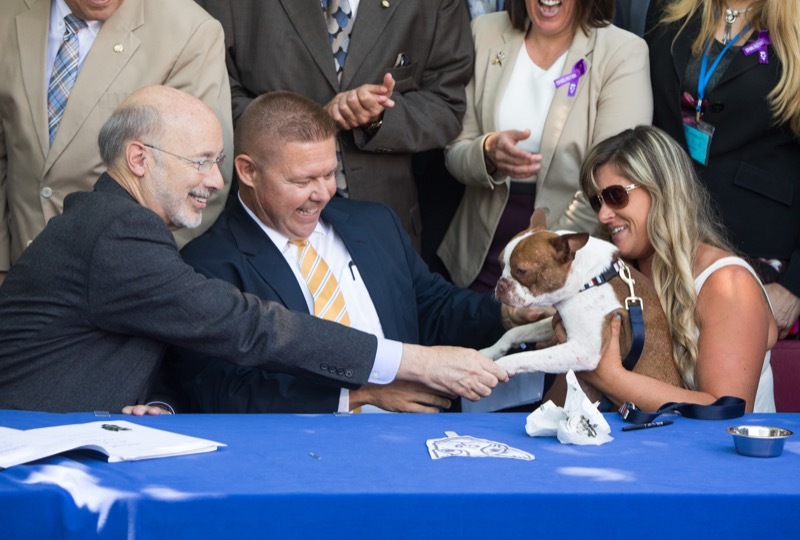 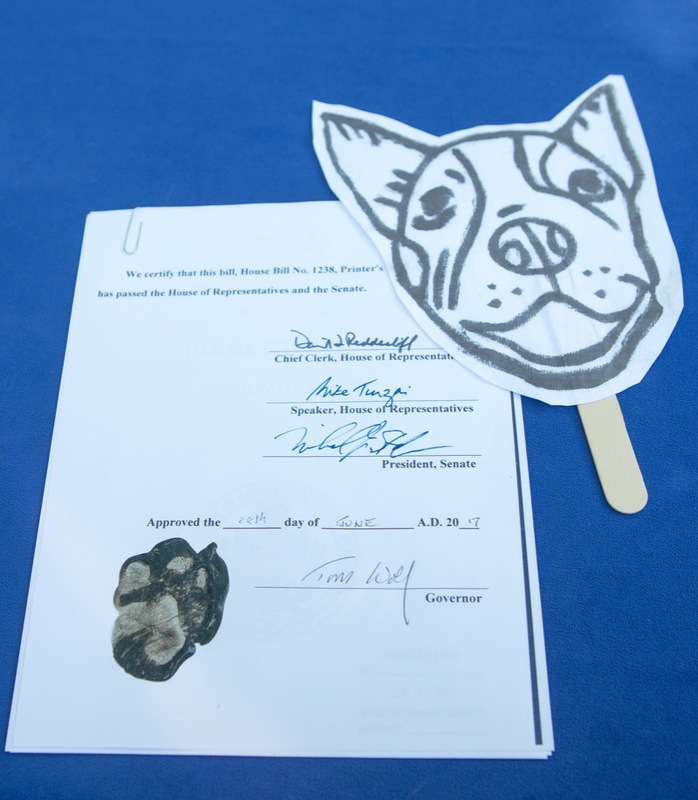 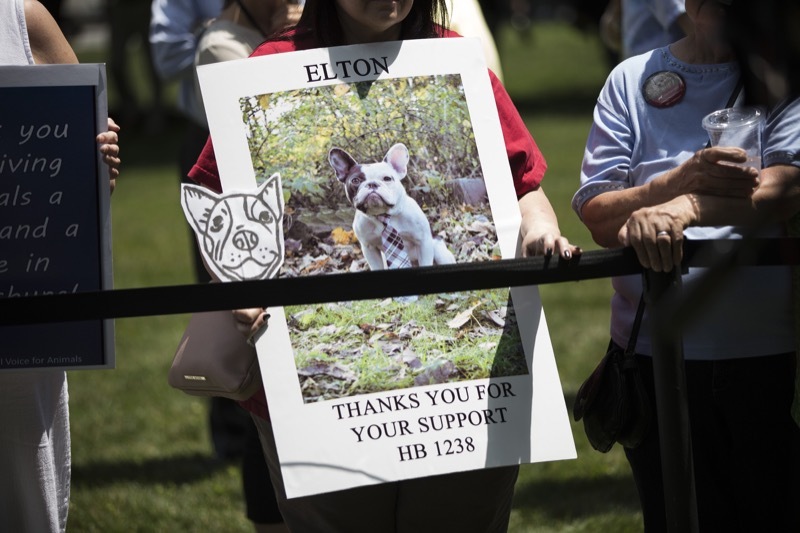 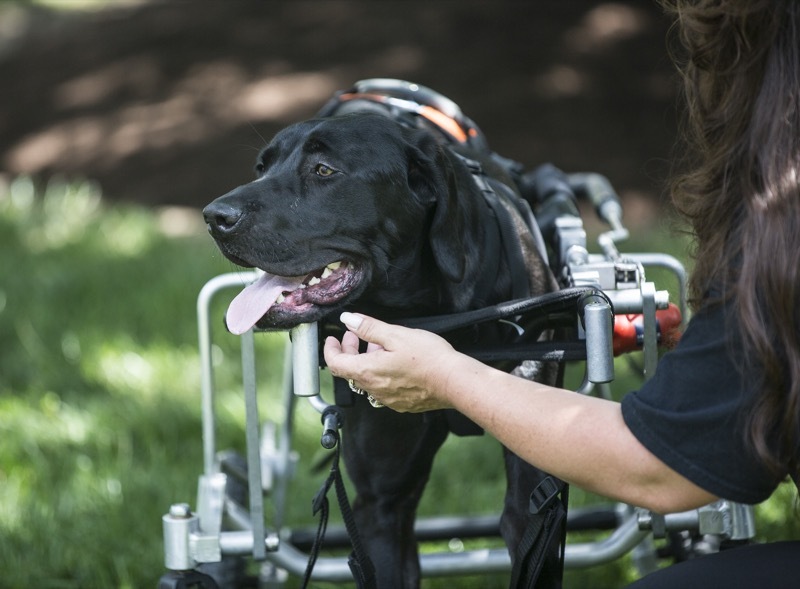 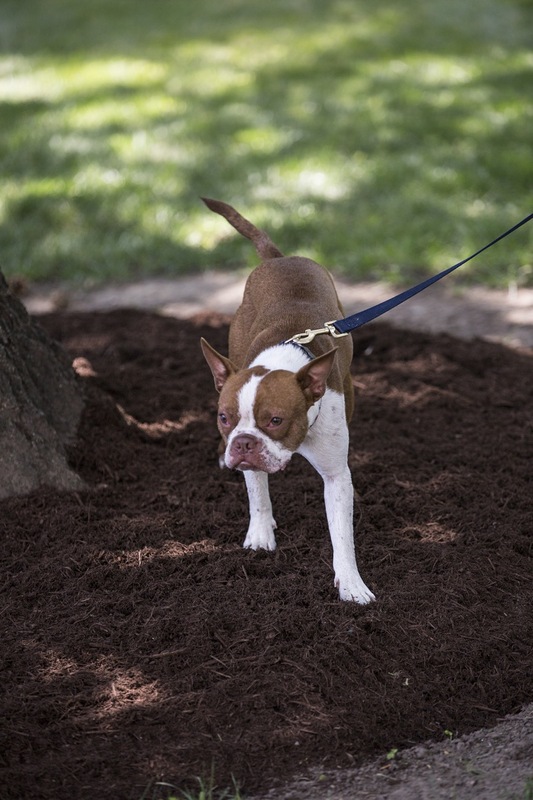 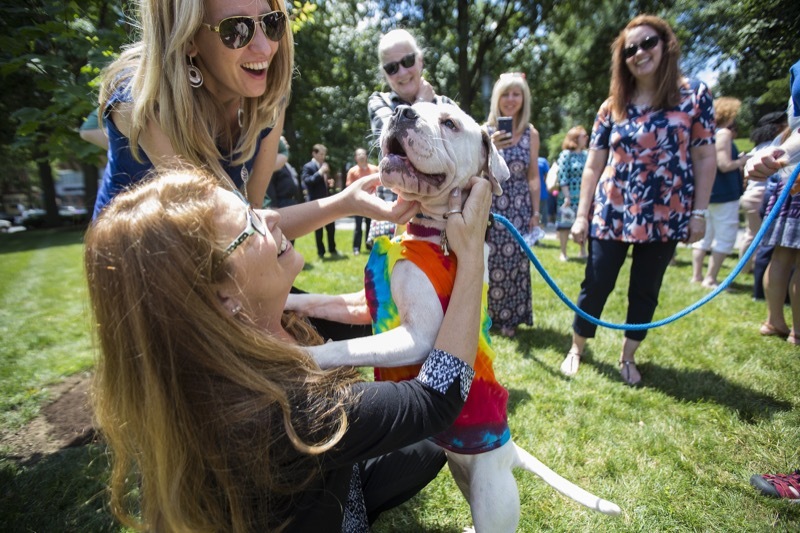 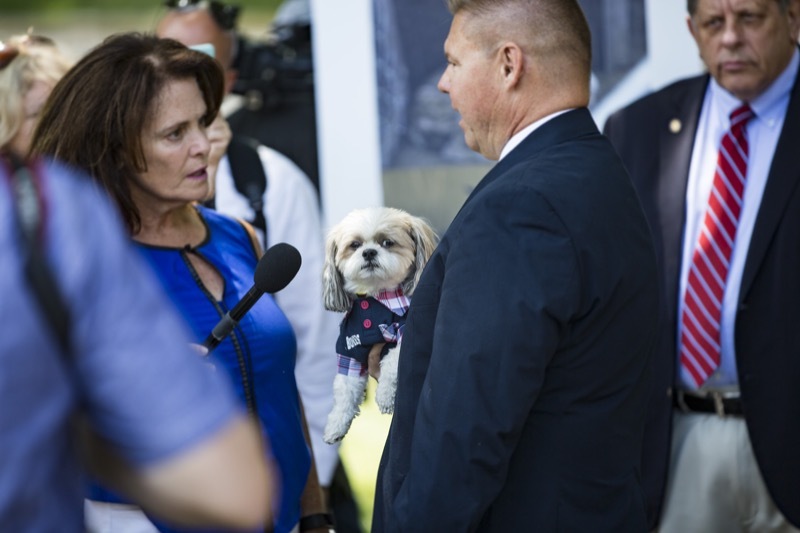 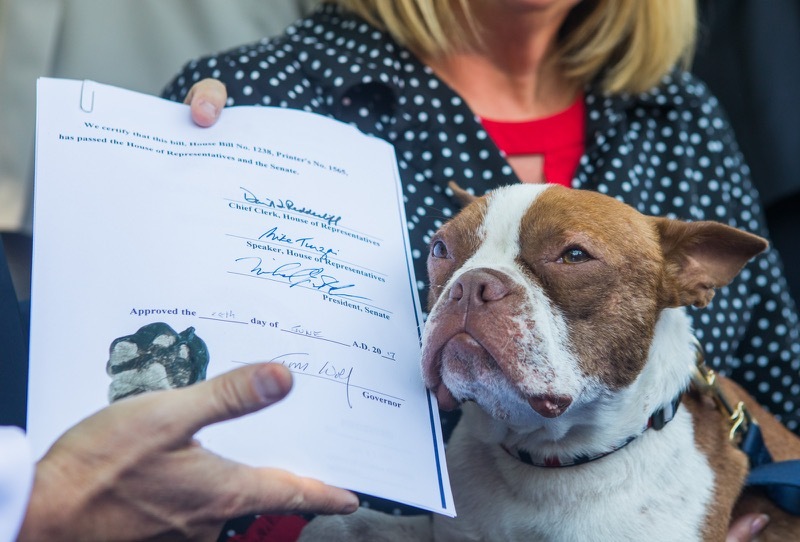 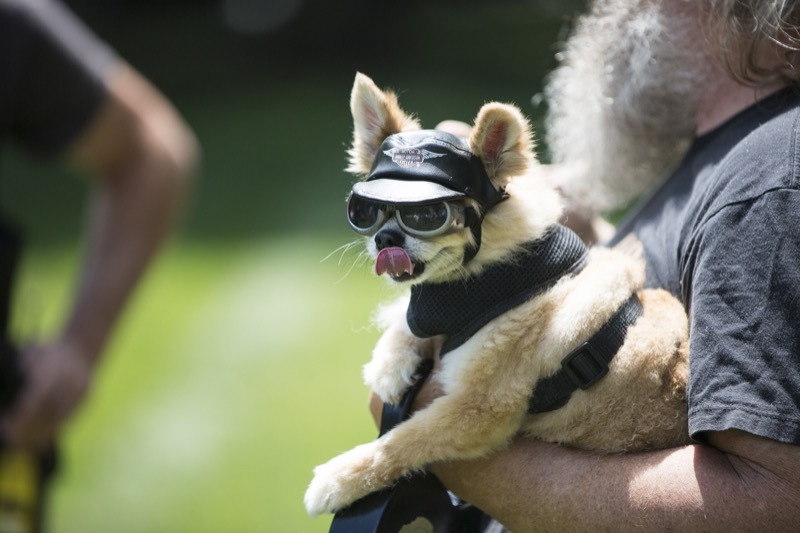 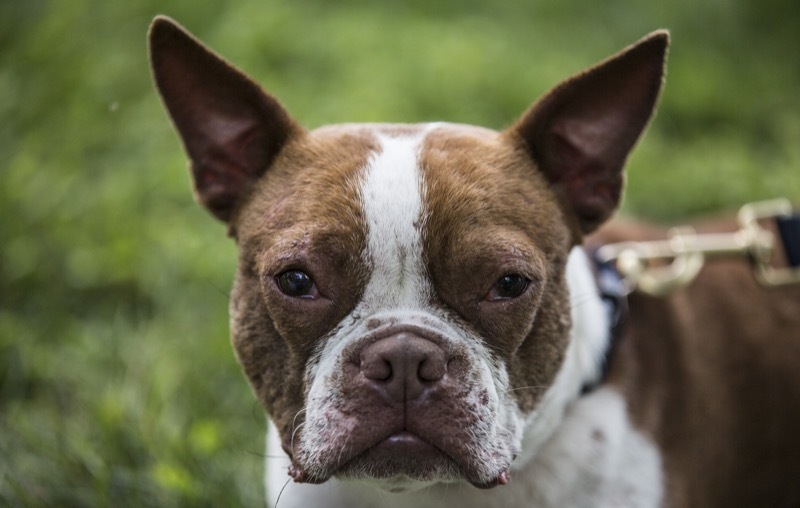 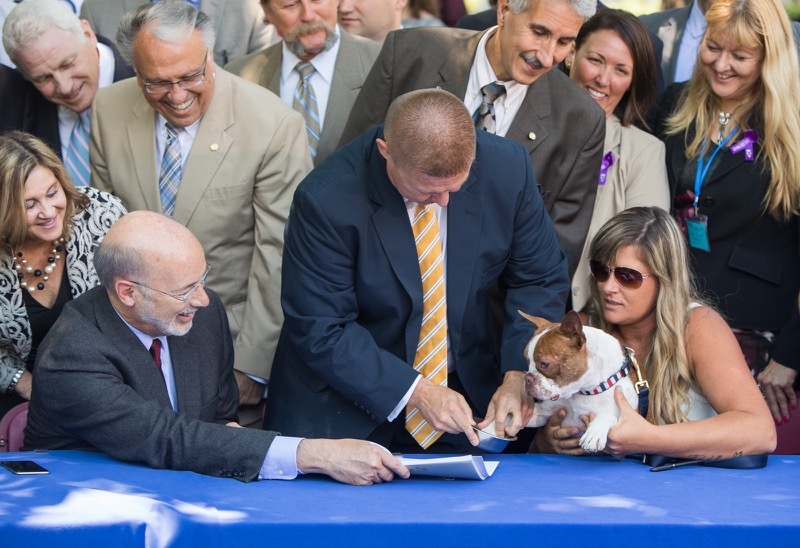 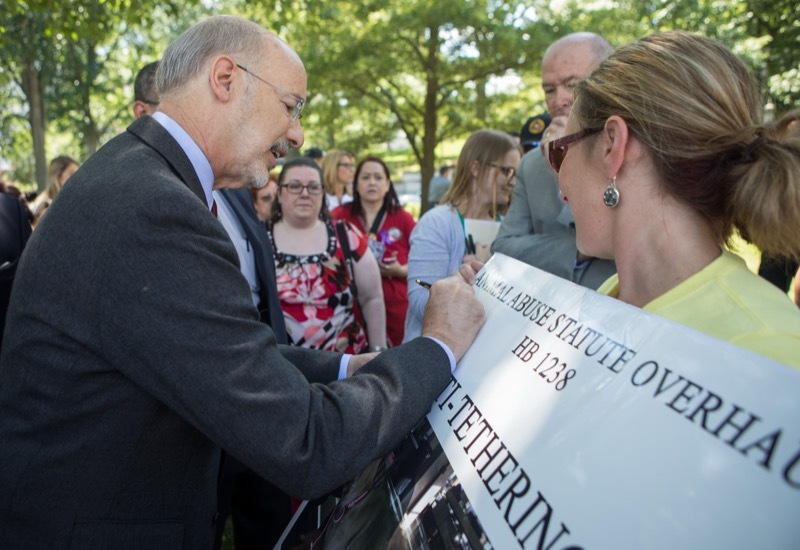 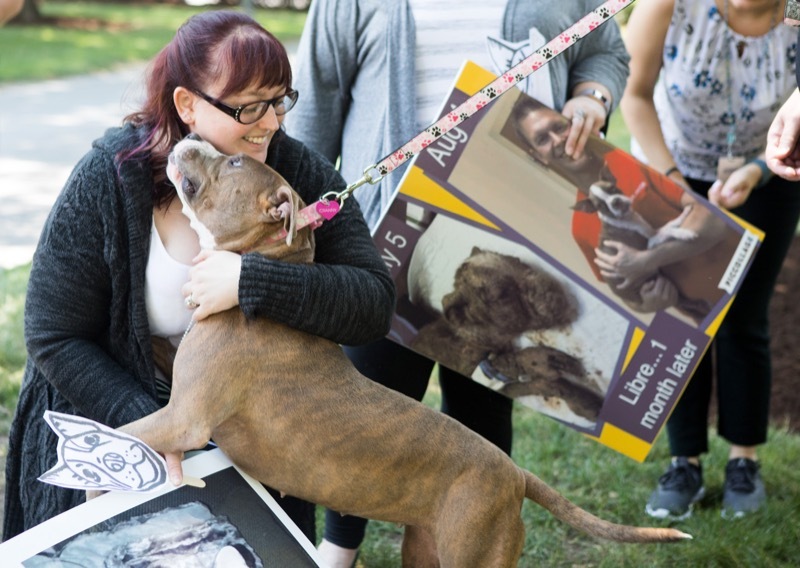 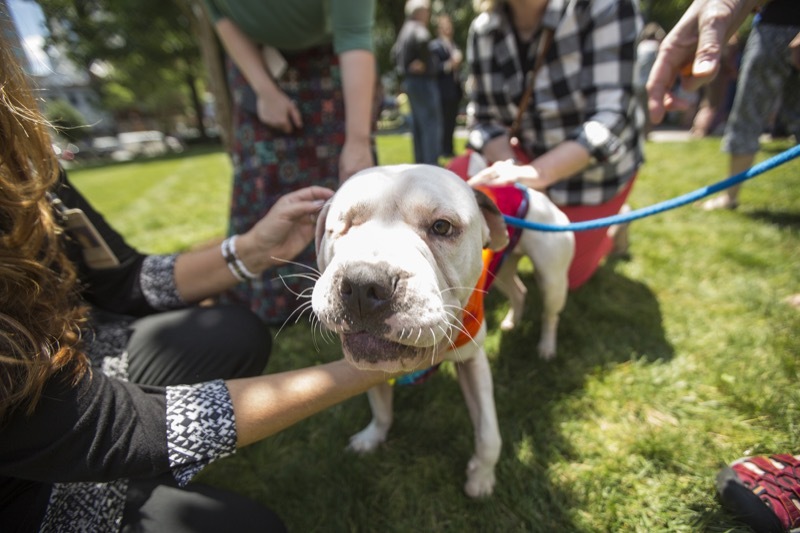 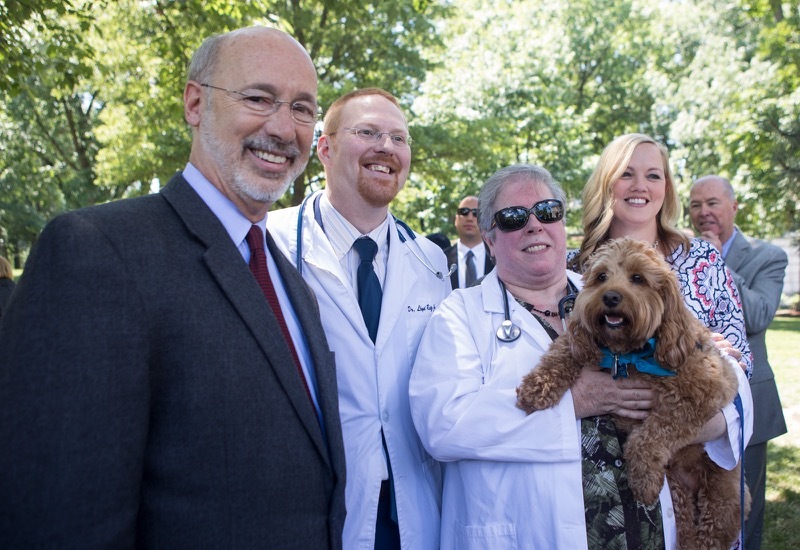 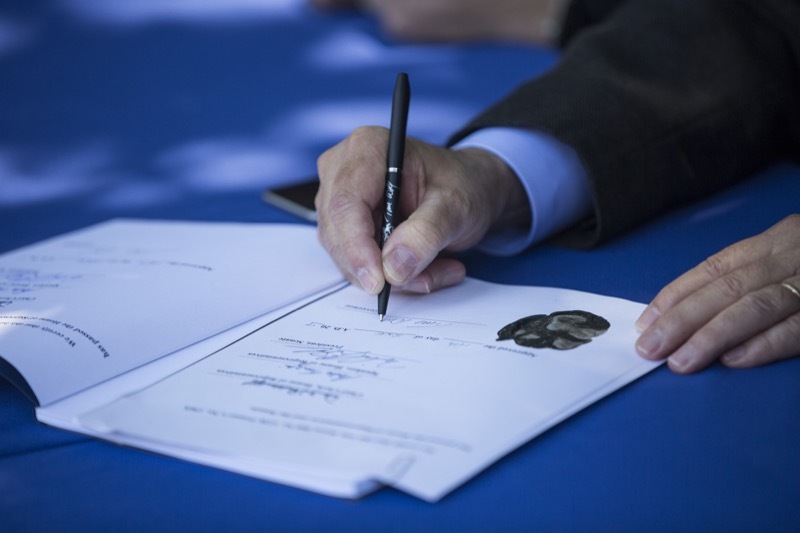 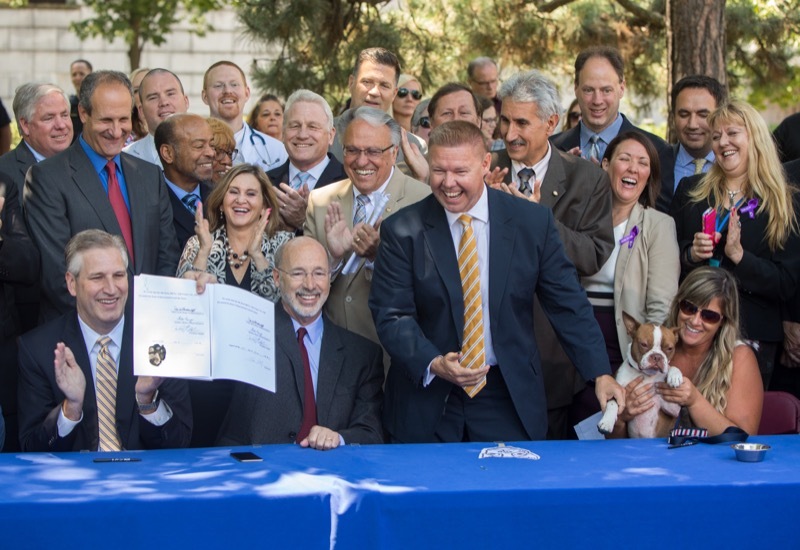 Governor Tom Wolf today signed the animal cruelty prevention bill at a public celebration surrounded by advocates and members of the legislature. 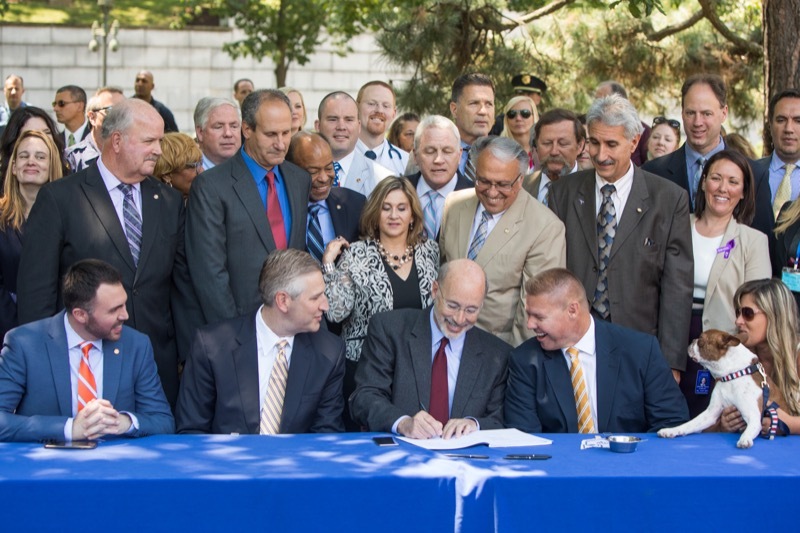 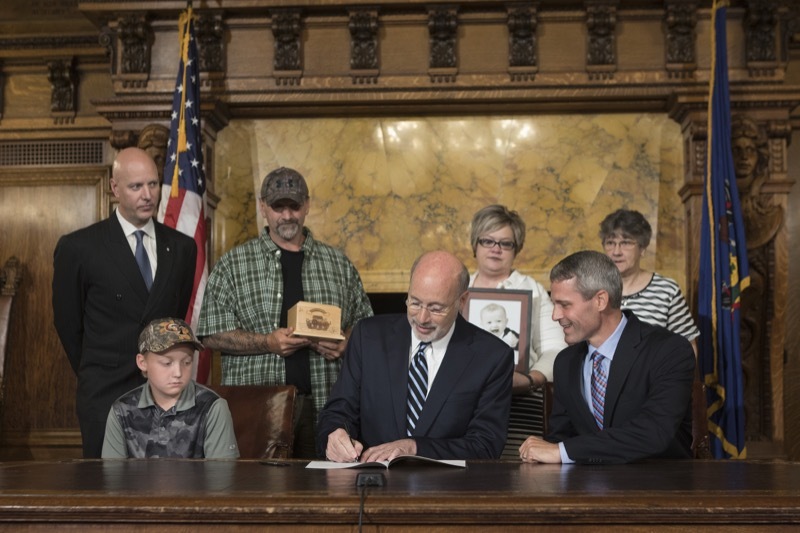 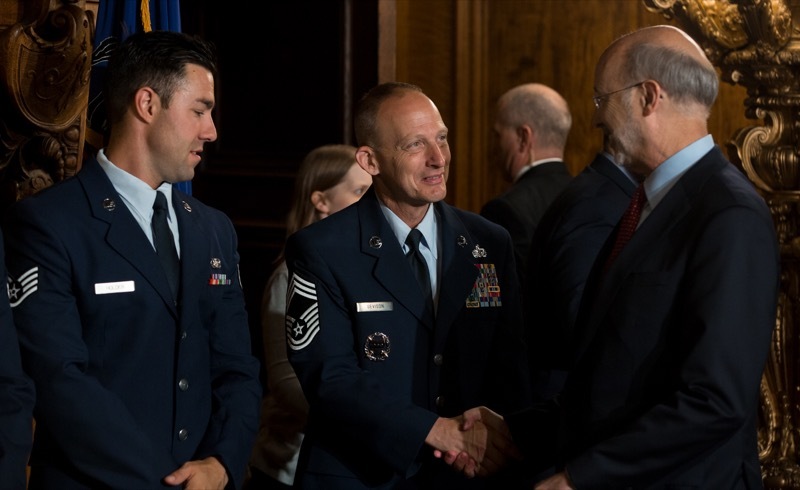 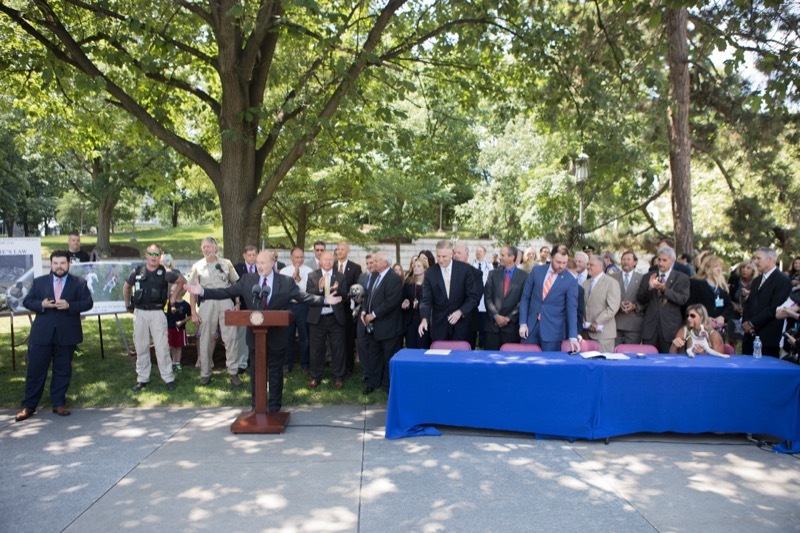 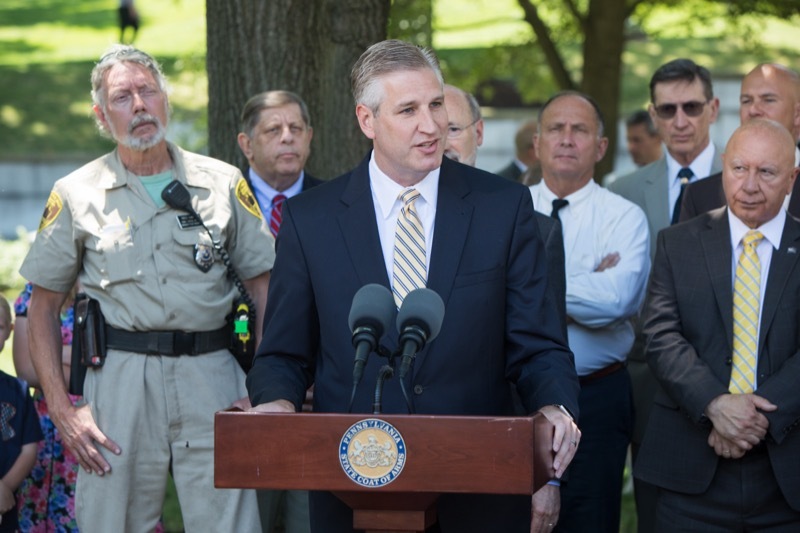 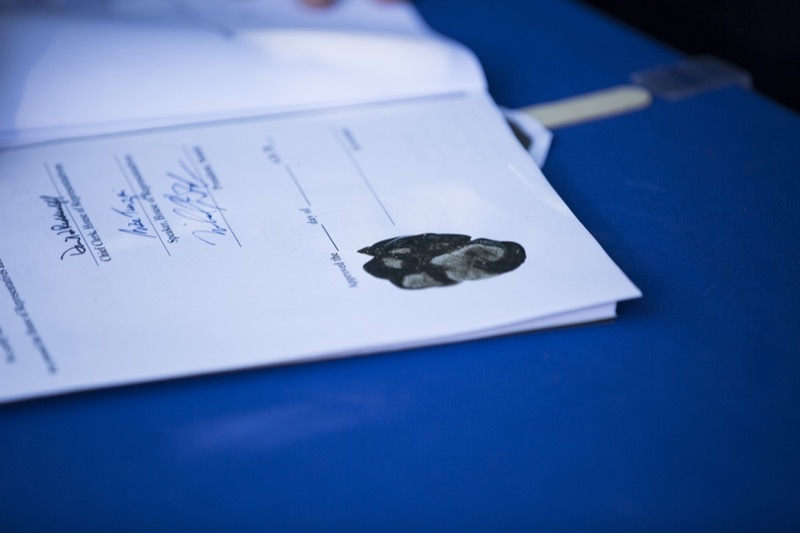 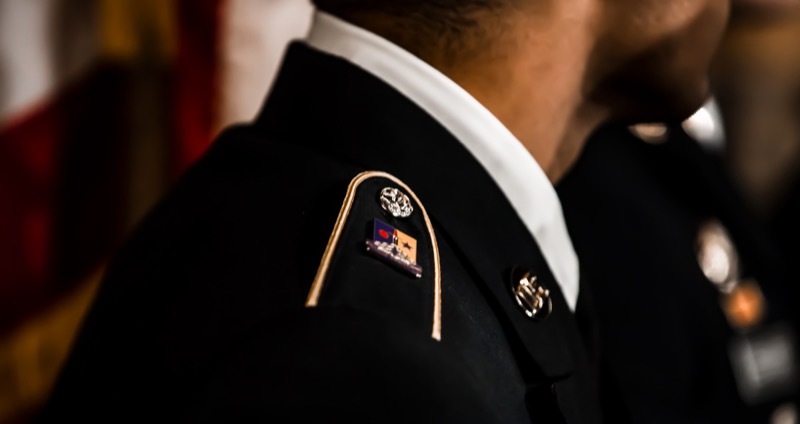 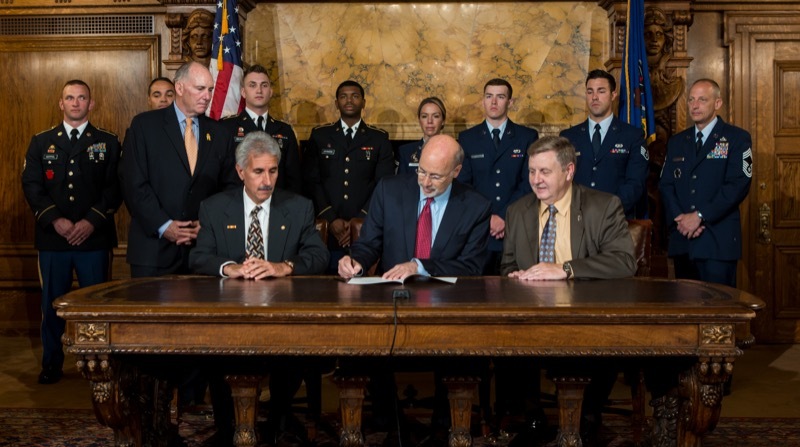 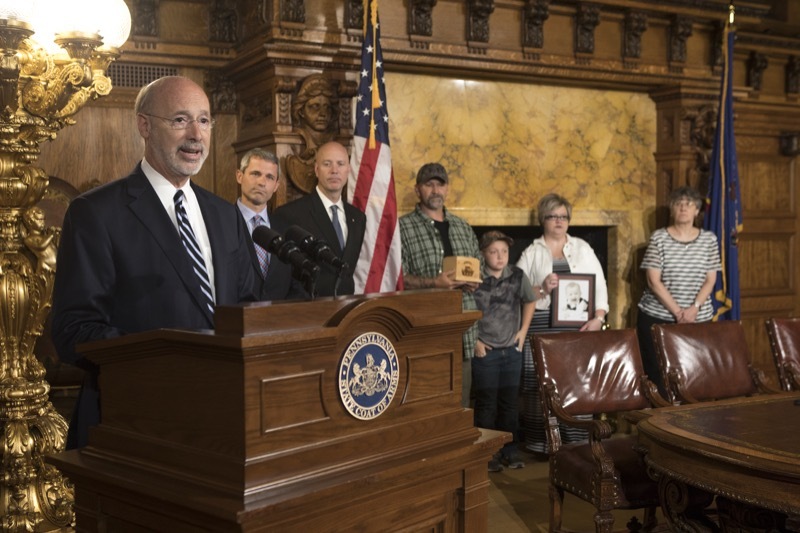 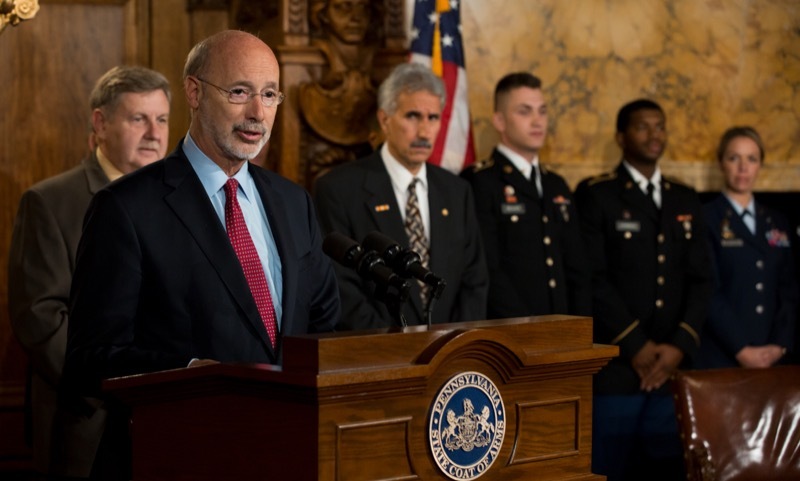 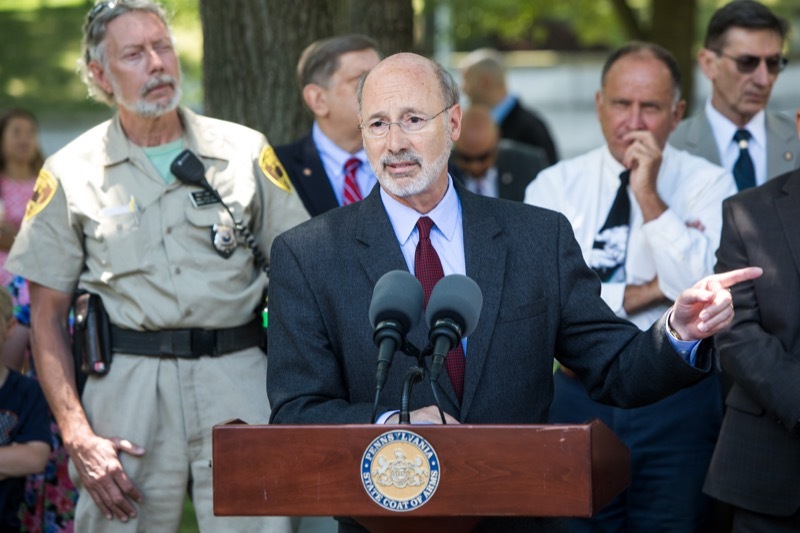 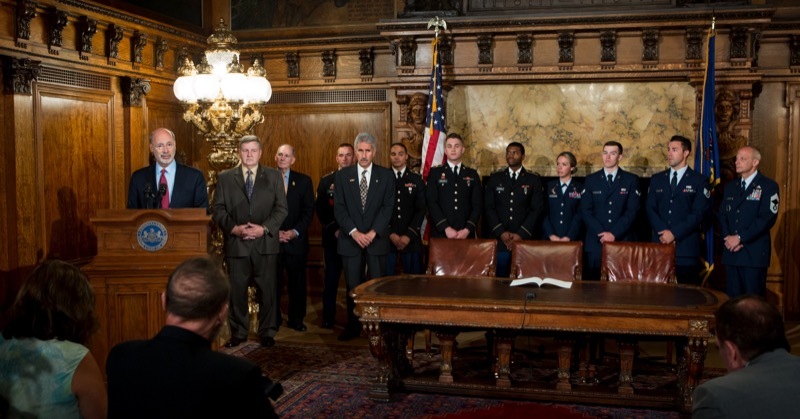 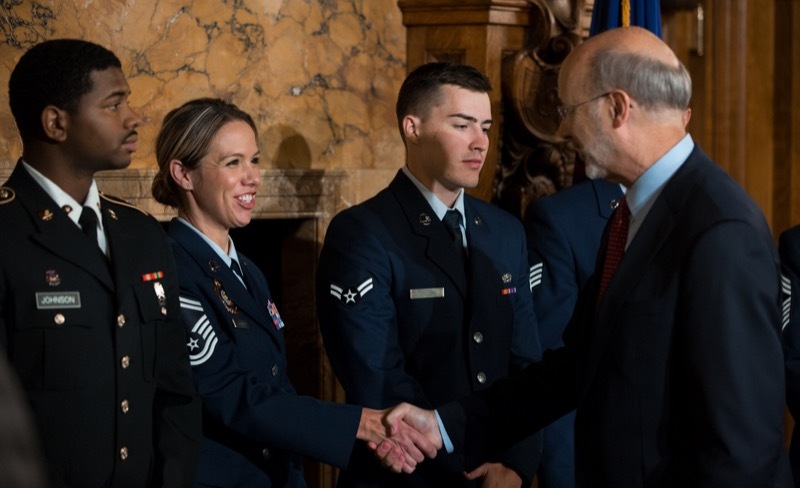 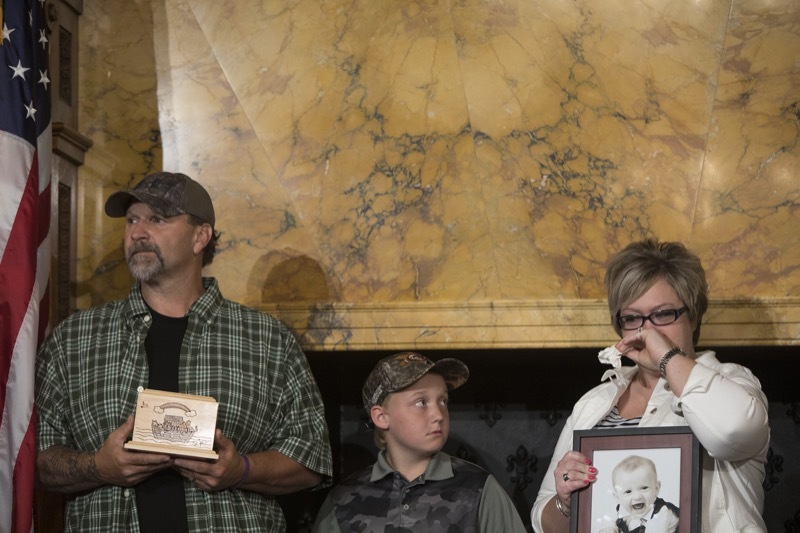 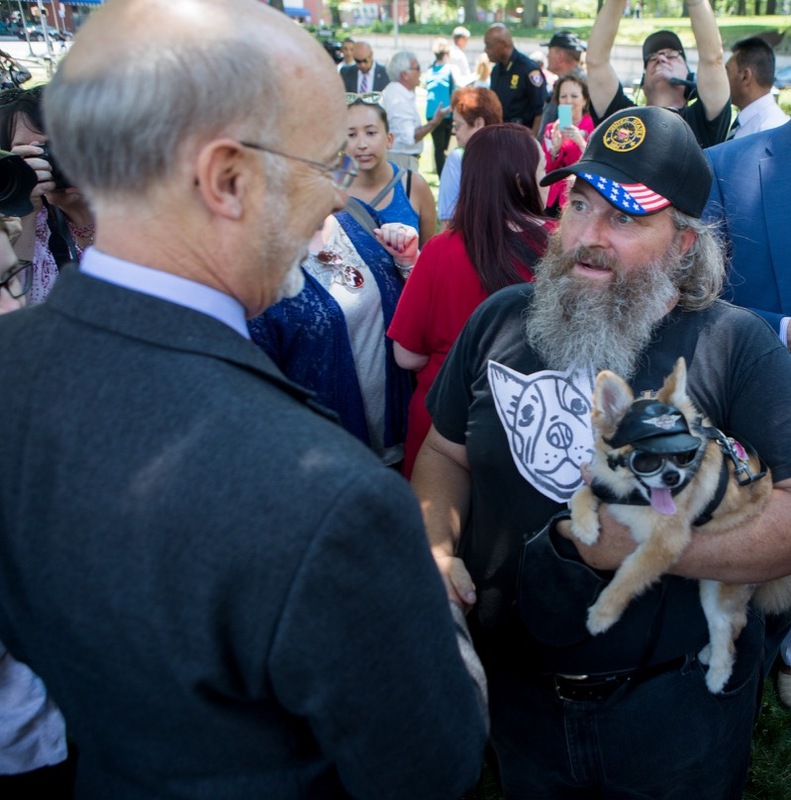 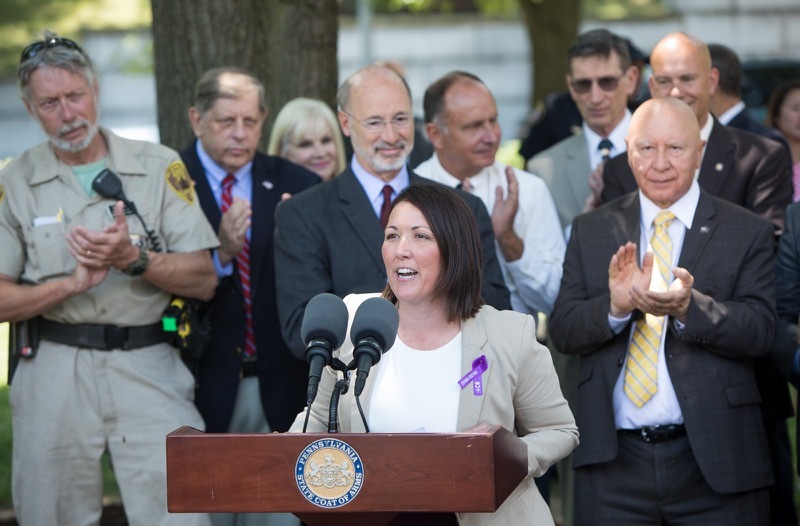 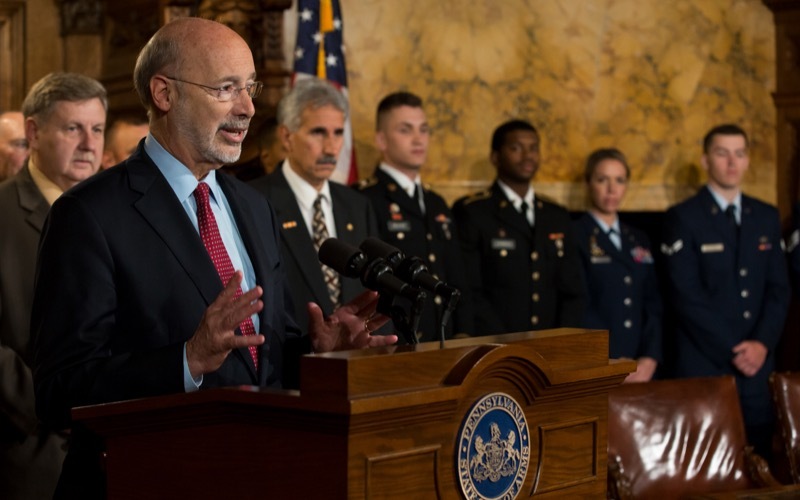 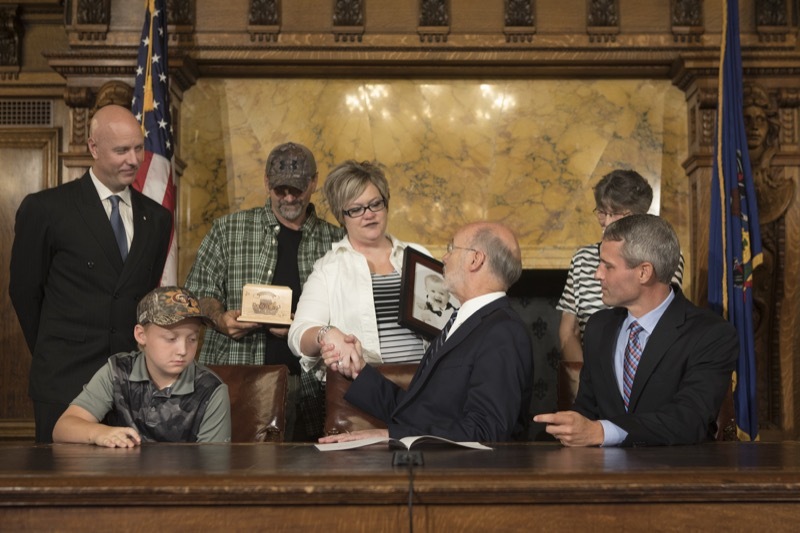 Governor Tom Wolf today signed the so-called stolen valor bill into law, protecting benefits for Pennsylvania veterans. 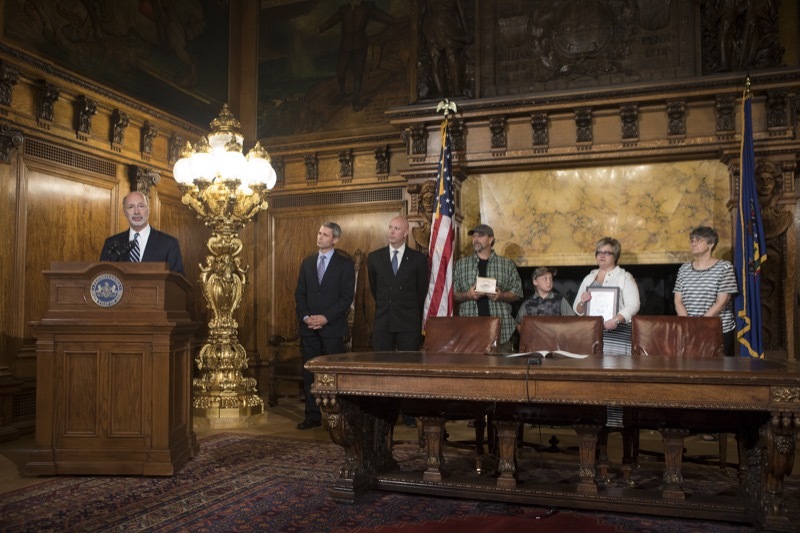 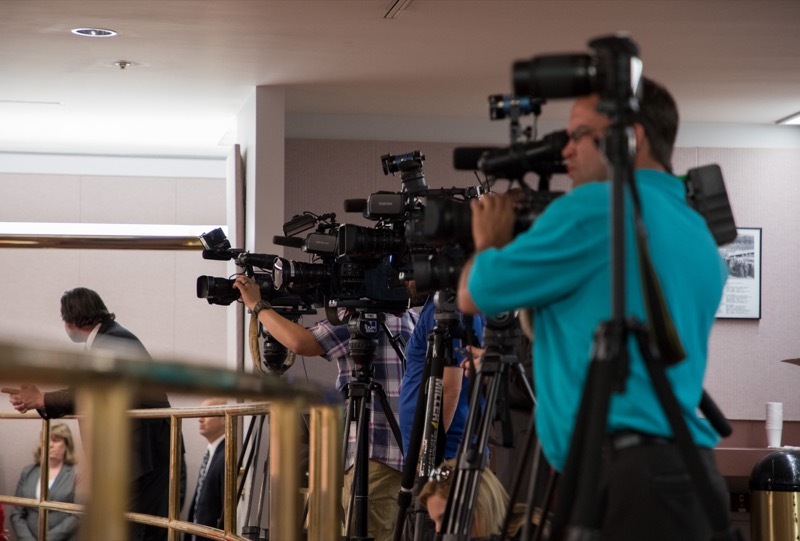 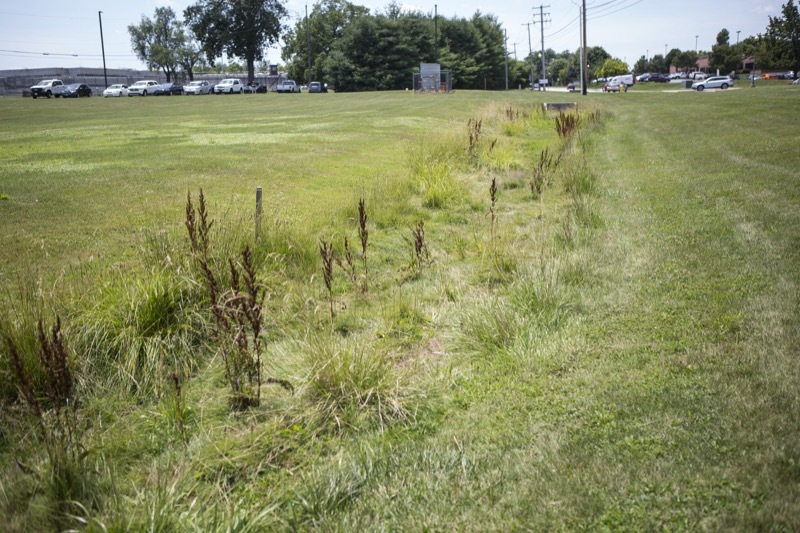 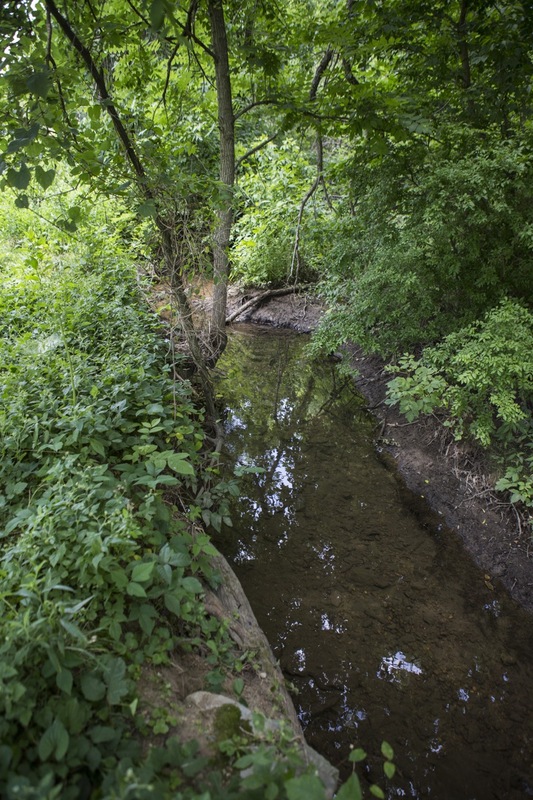 Today, Secretary of Education Pedro A. Rivera will join Patrick McDonnell, Secretary of the Department of Environmental Protection (DEP); Cindy Adams Dunn, Secretary of the Department of Conservation and Natural Resources (DCNR); Nick Semon, President of PA Green & Healthy Schools Partnership (PAGHSP); John Armstead, EPA Region 3 Deputy Regional Administrator; lawmakers and other stakeholders to recognized Pennsylvania's 2017 U.S. Department of Education Green Ribbon Schools (ED-GRS). 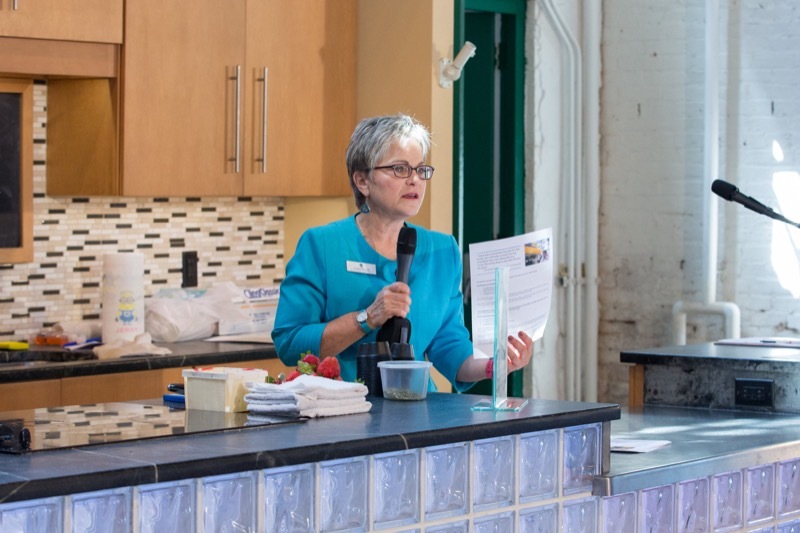 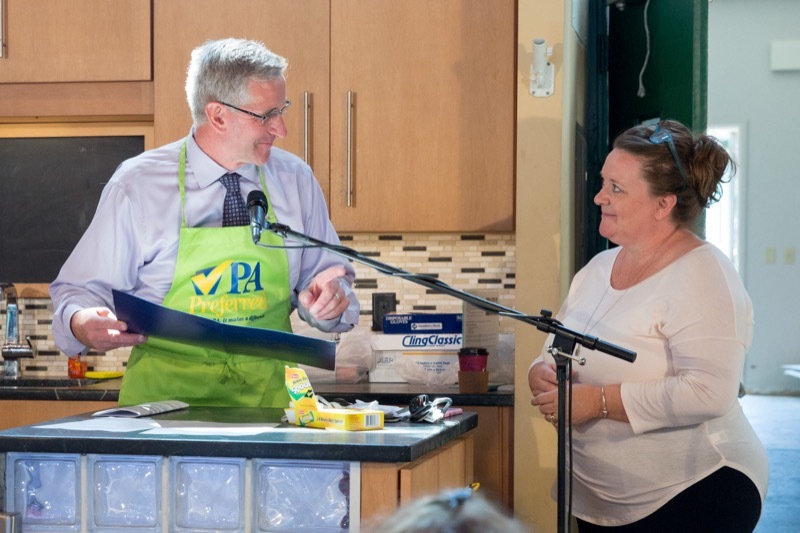 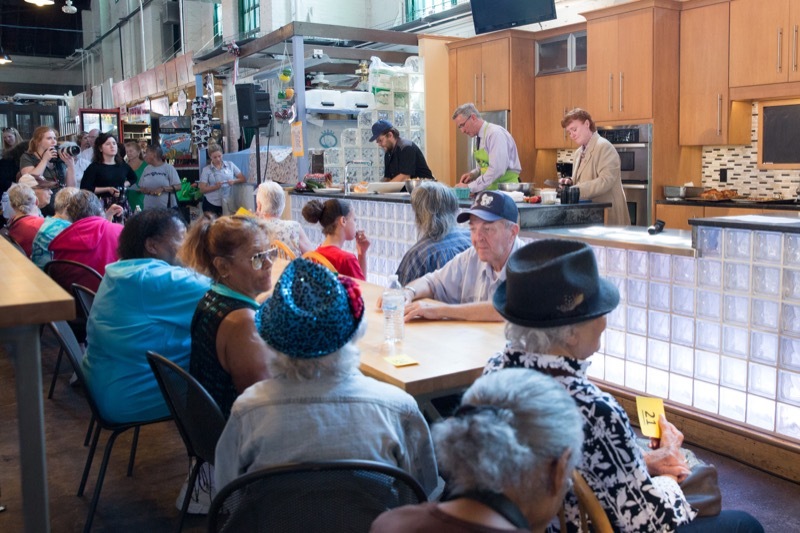 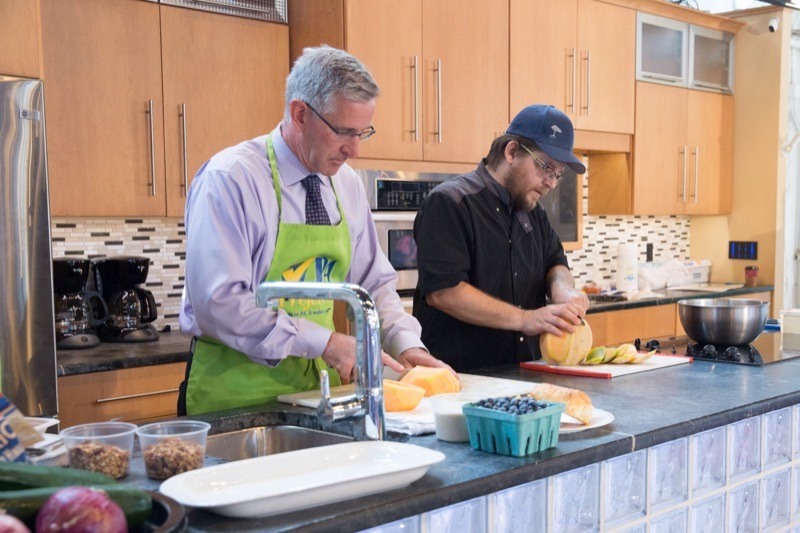 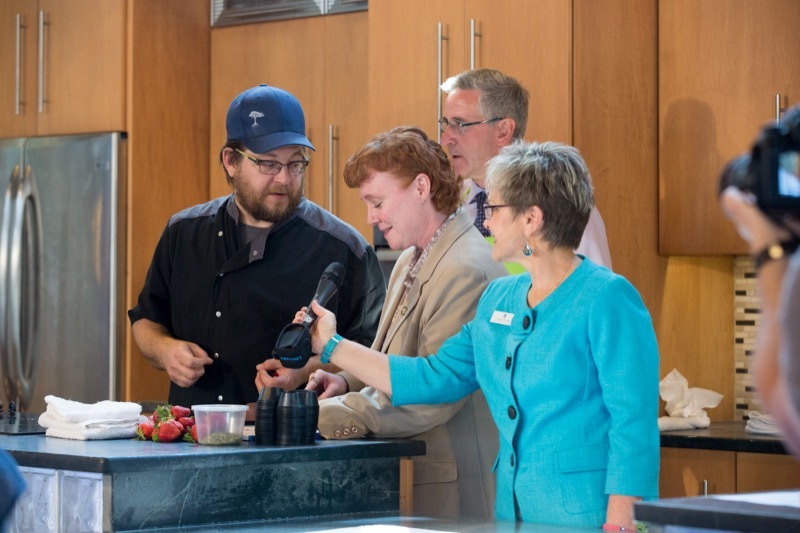 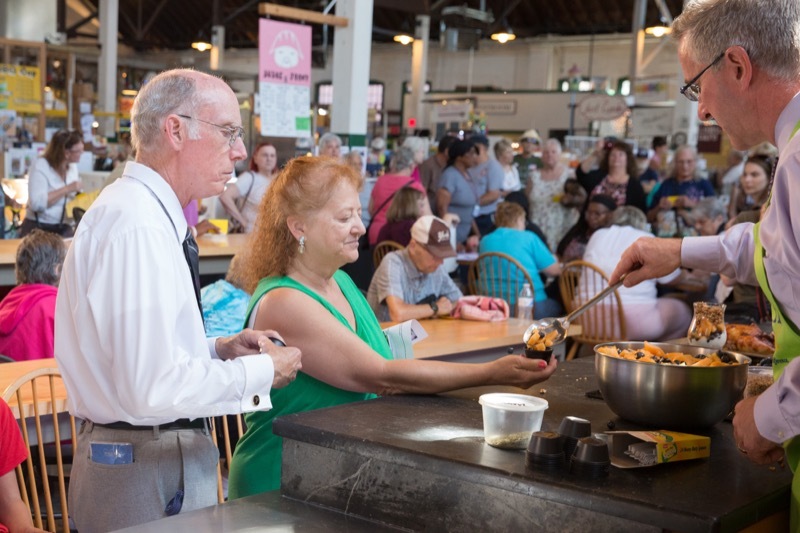 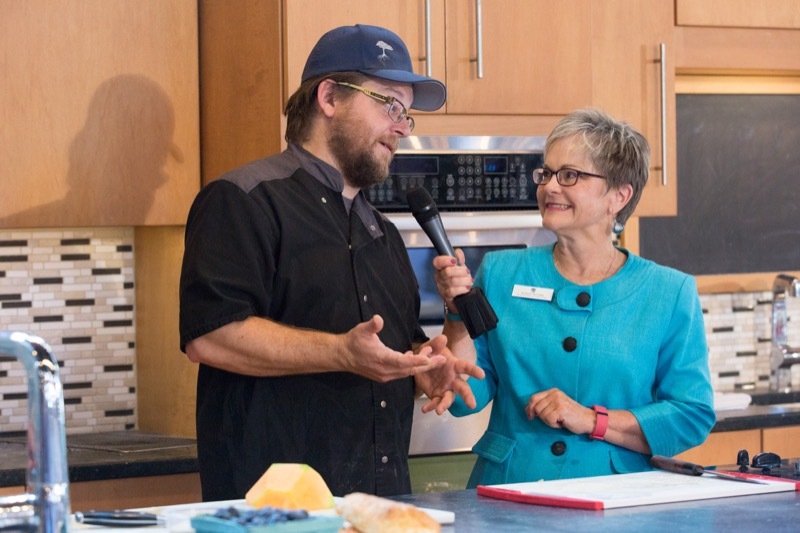 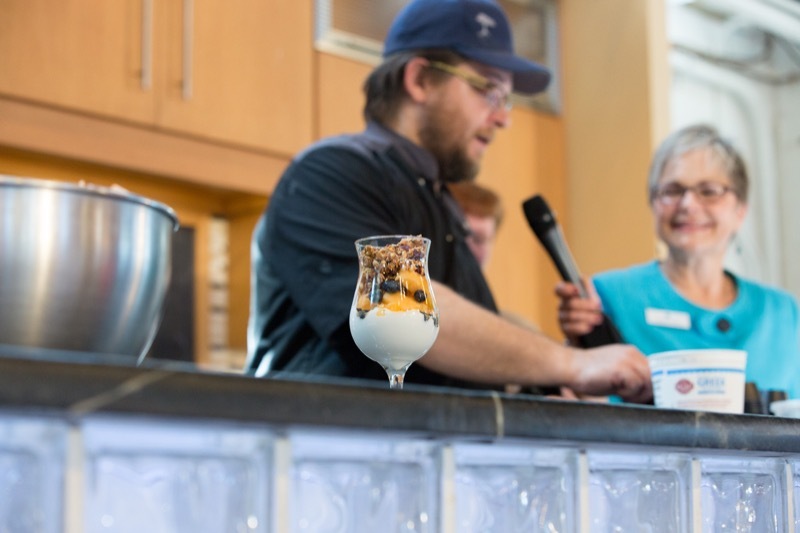 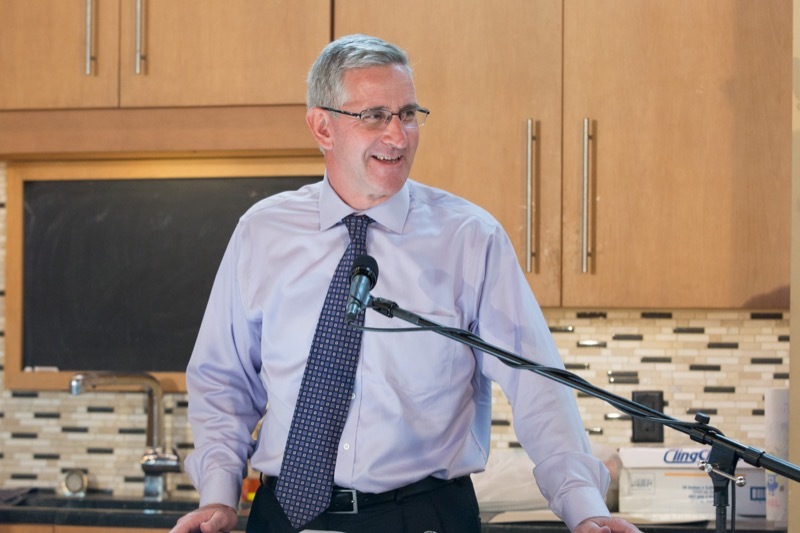 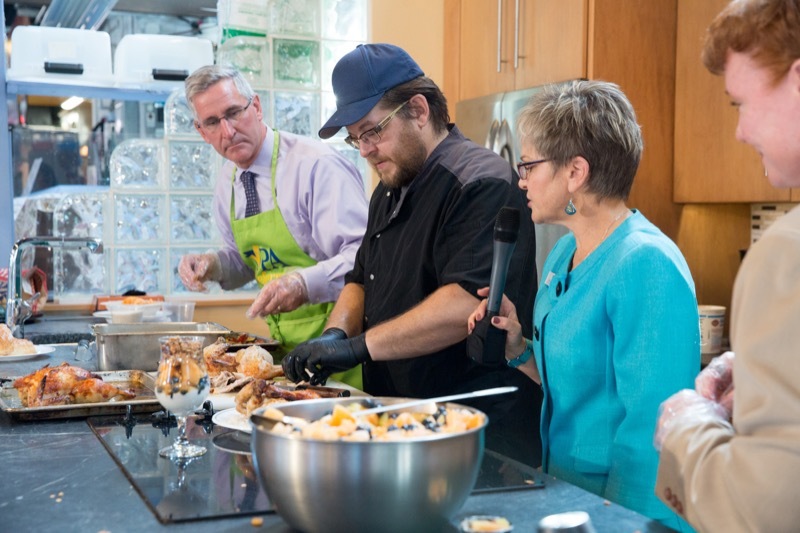 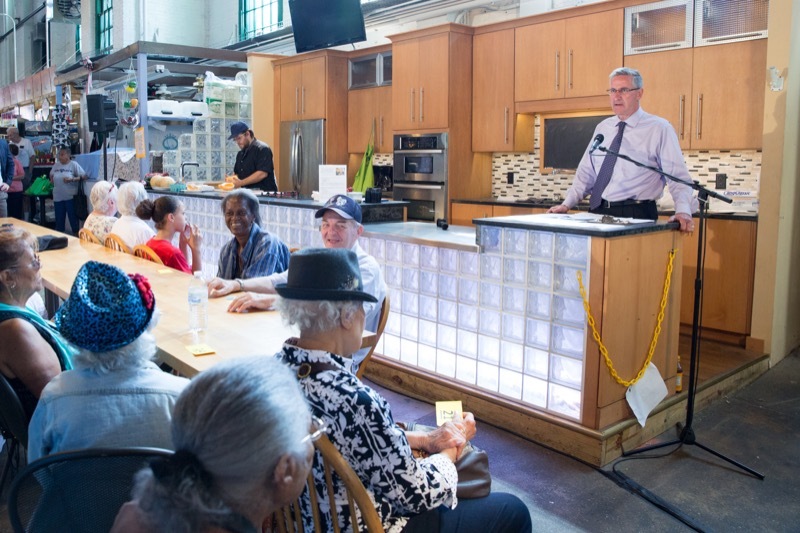 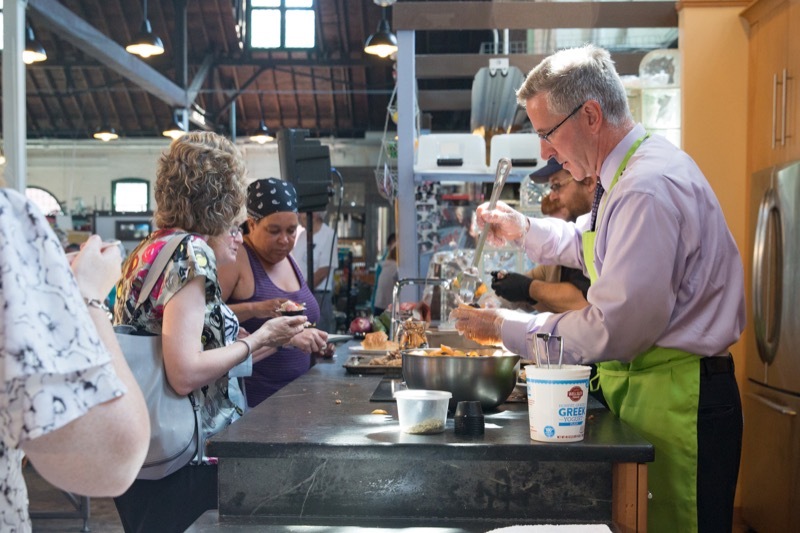 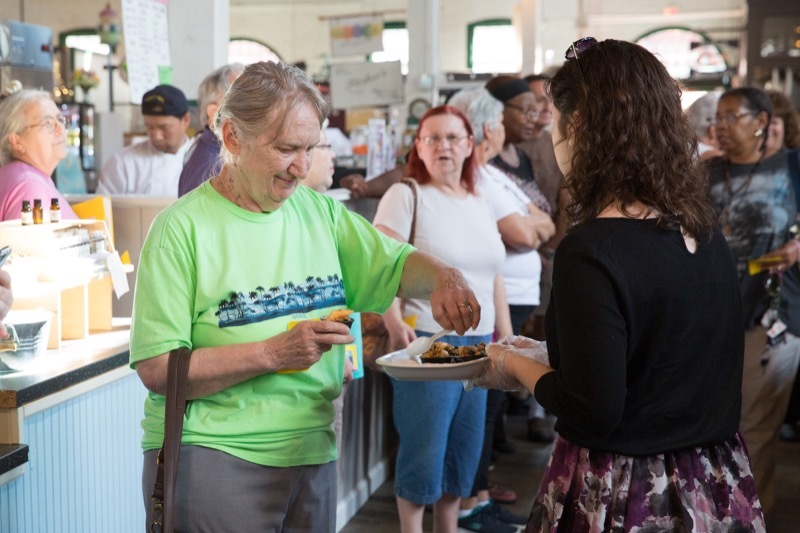 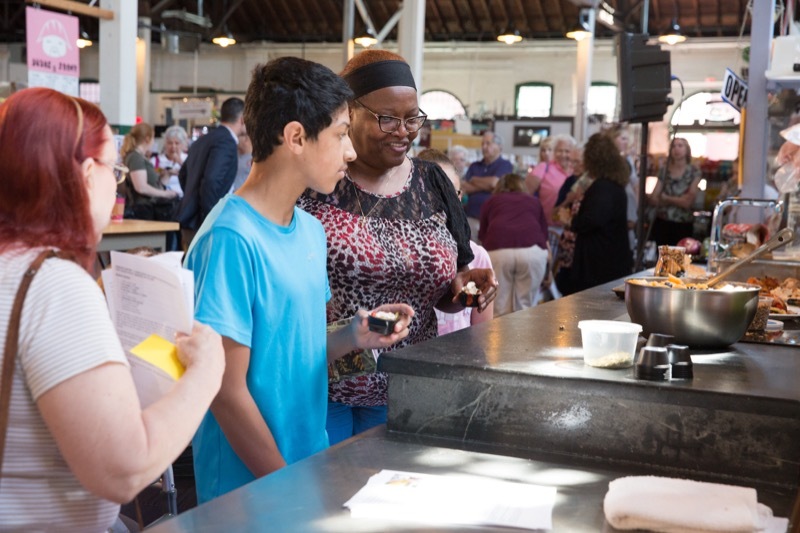 Agriculture Secretary Russell Redding and Secretary of Aging Teresa Osborne joined Chef Andrew Barnes today at York Central Market House, learning to prepare dishes eligible seniors can make with fresh, Pennsylvania-grown produce purchased through the Senior Farmers Market Nutrition Program. 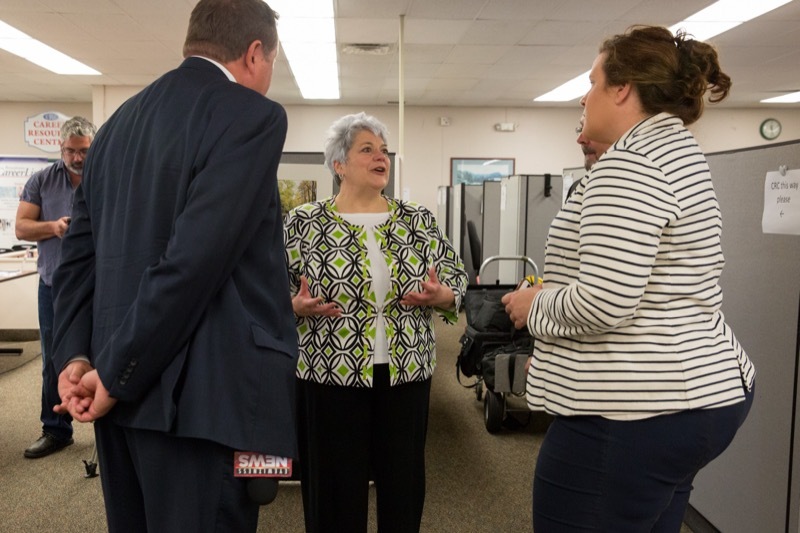 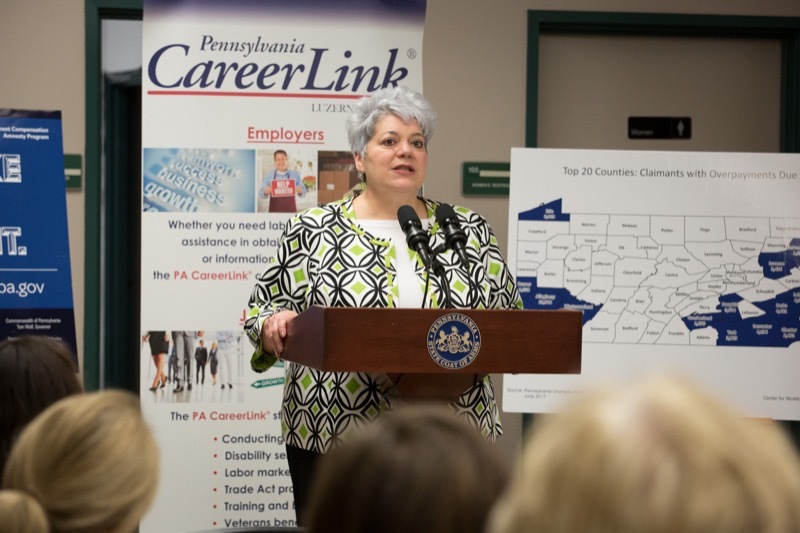 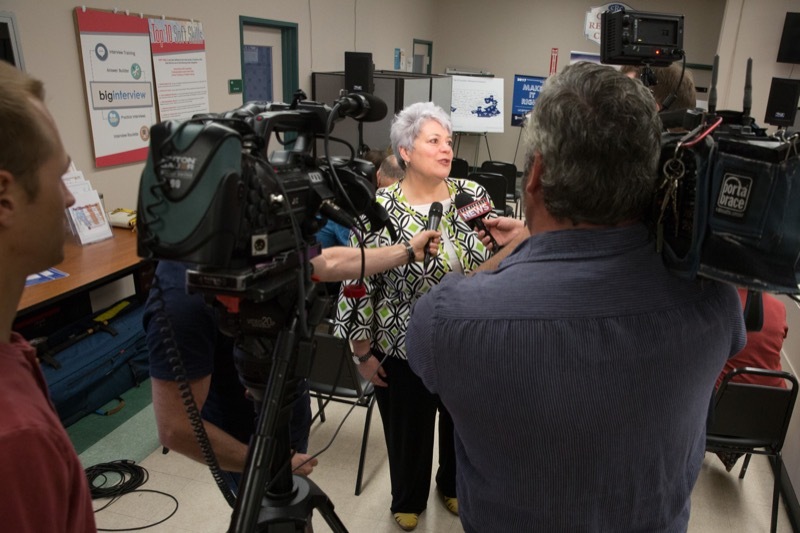 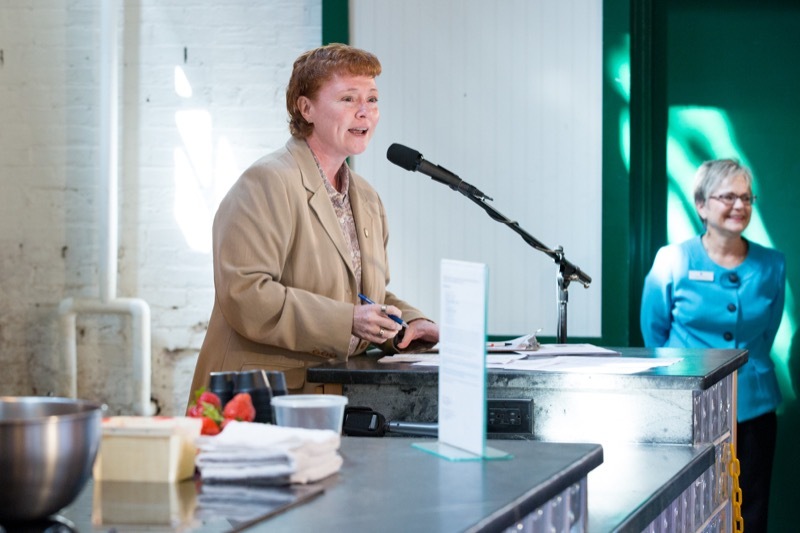 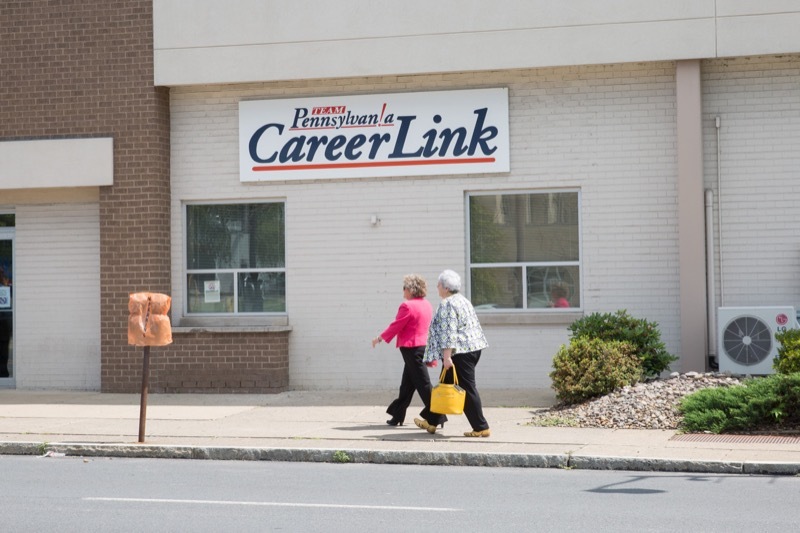 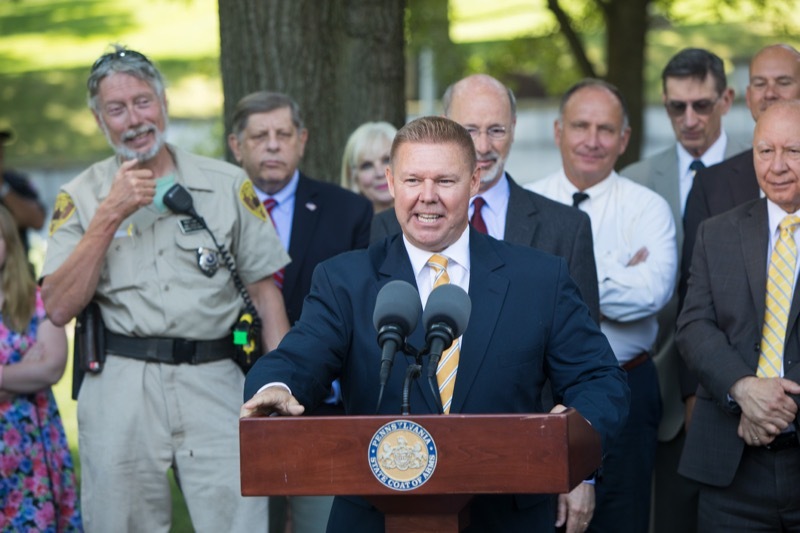 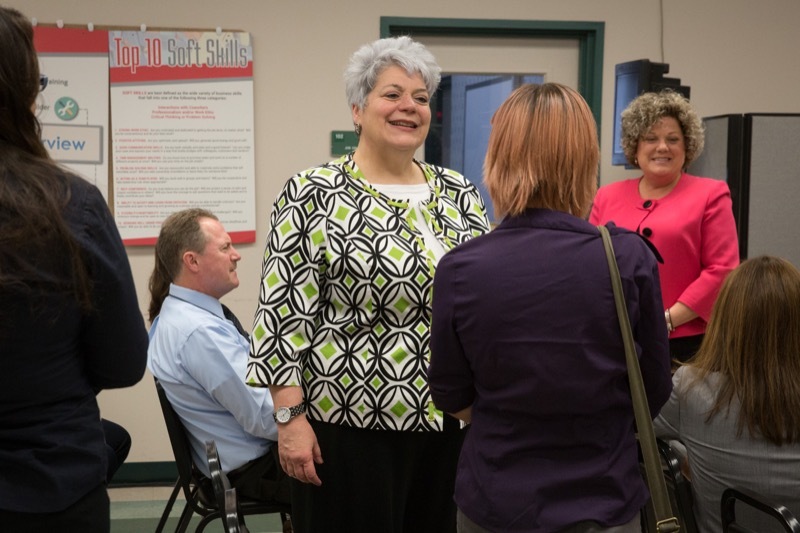 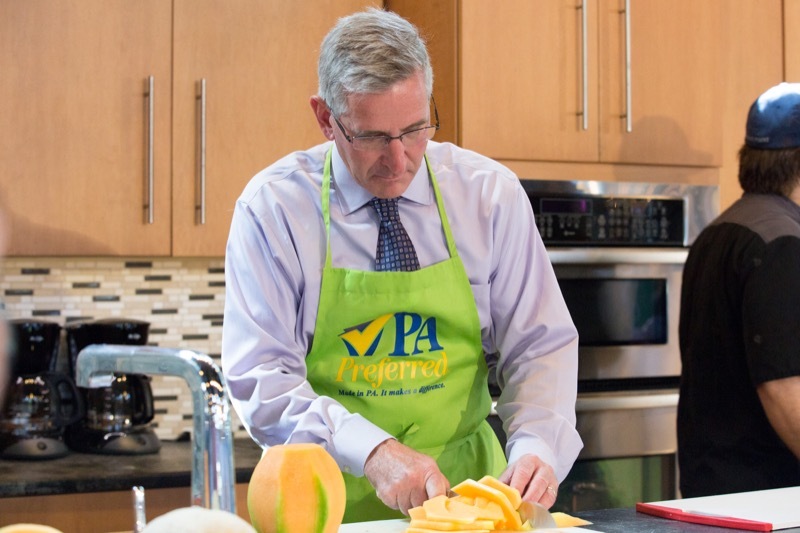 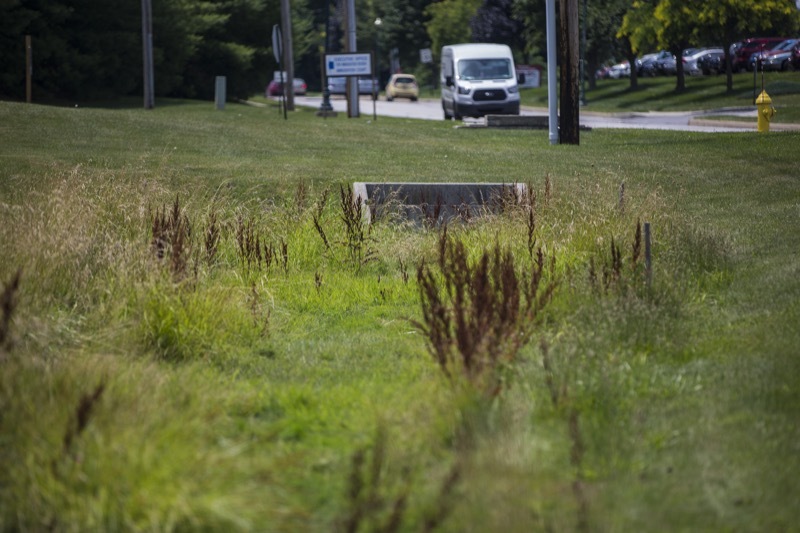 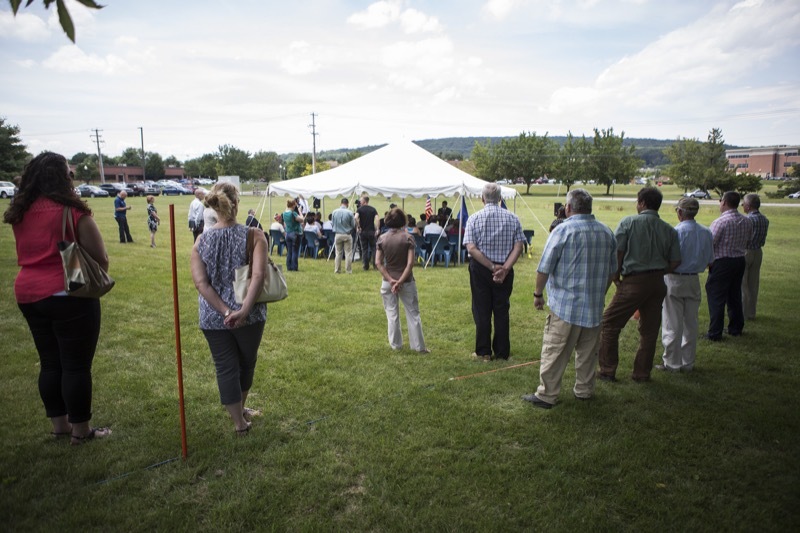 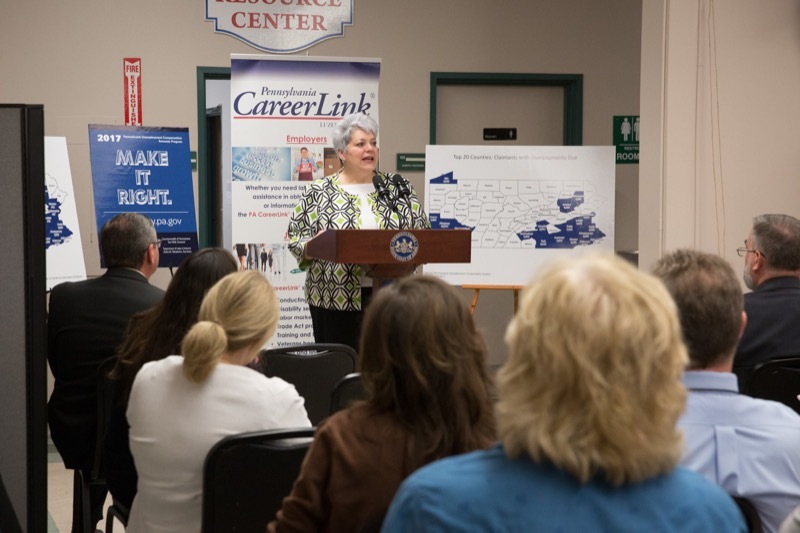 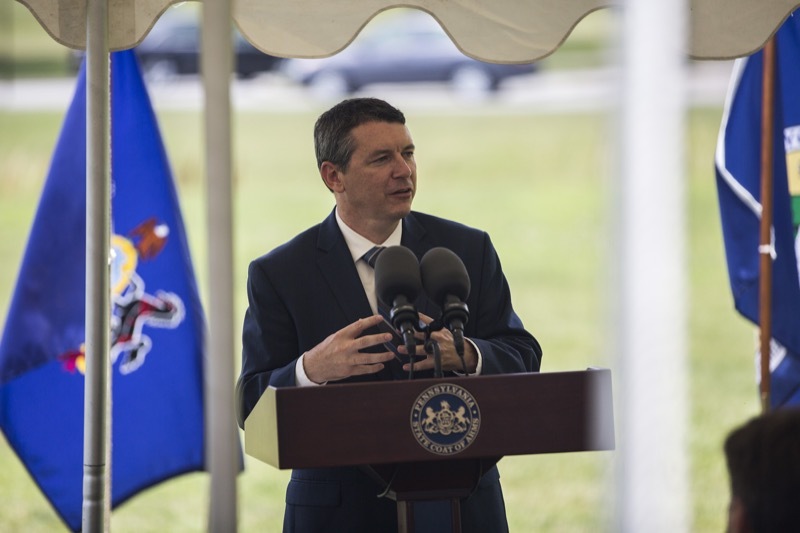 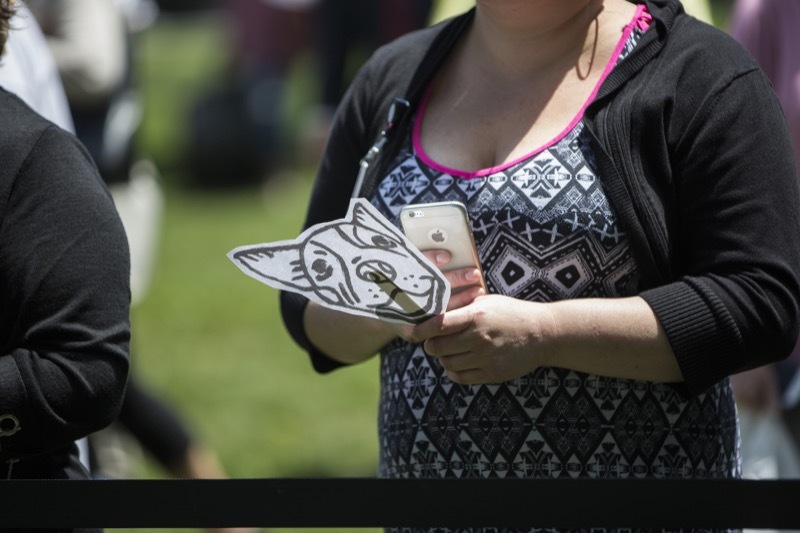 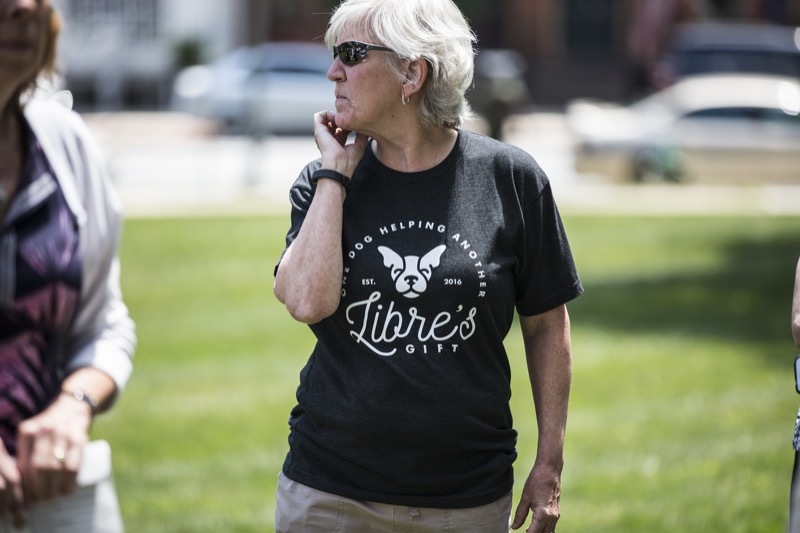 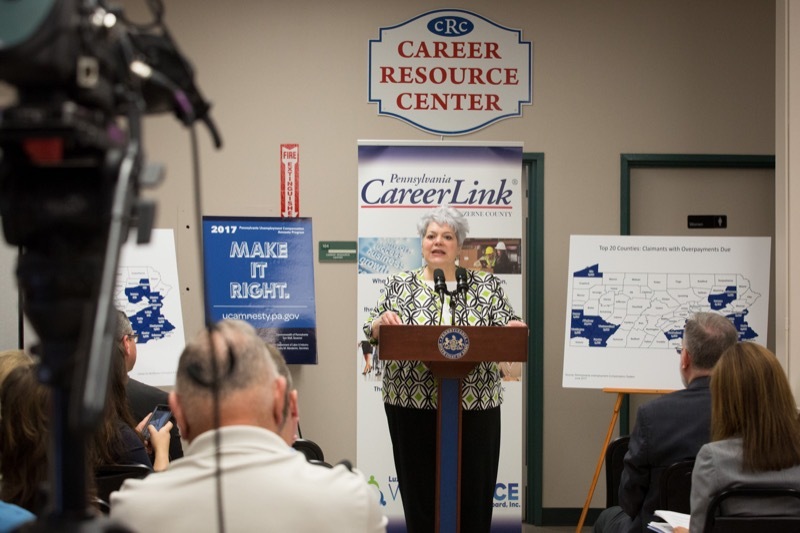 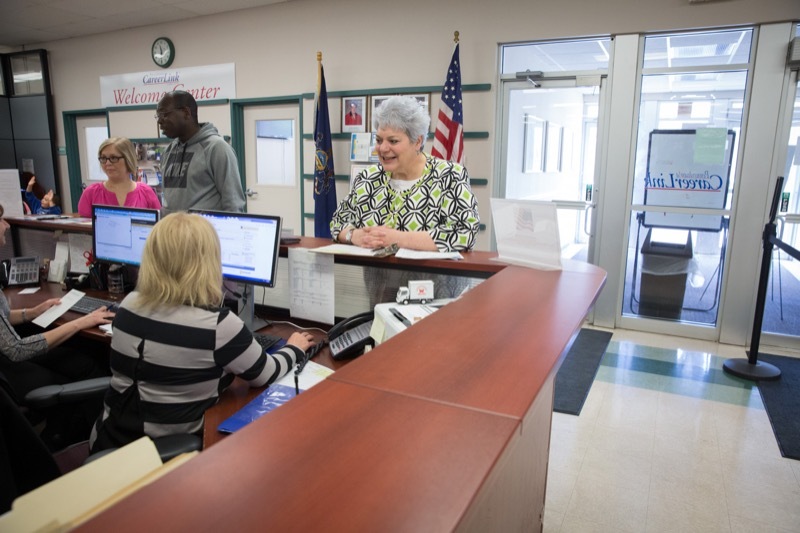 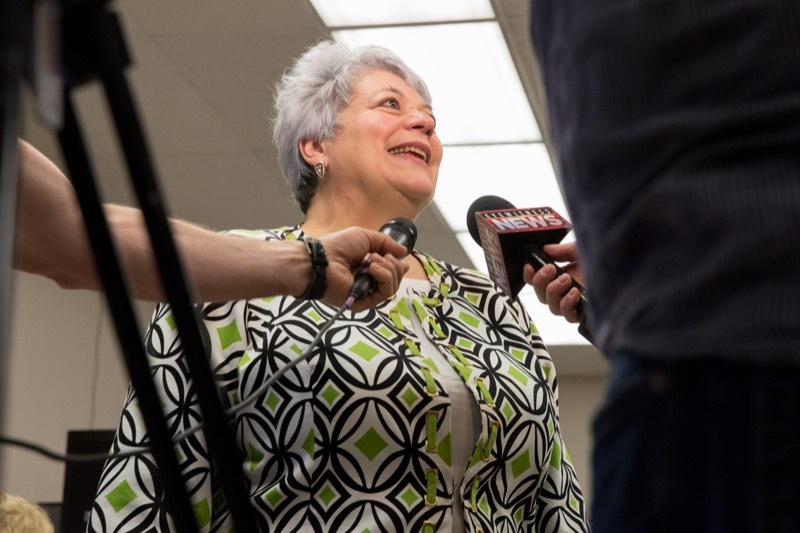 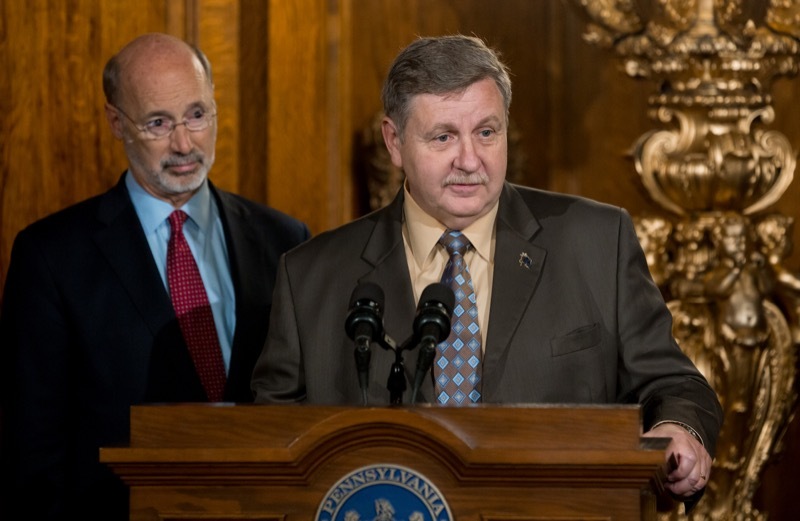 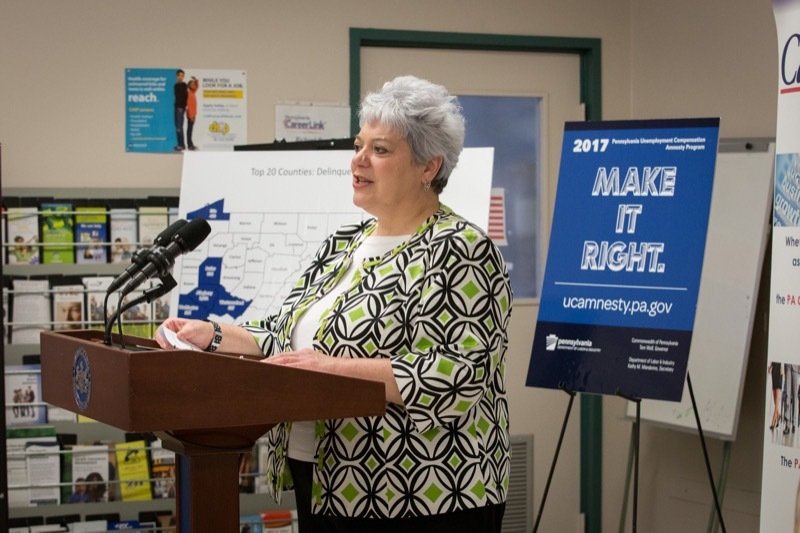 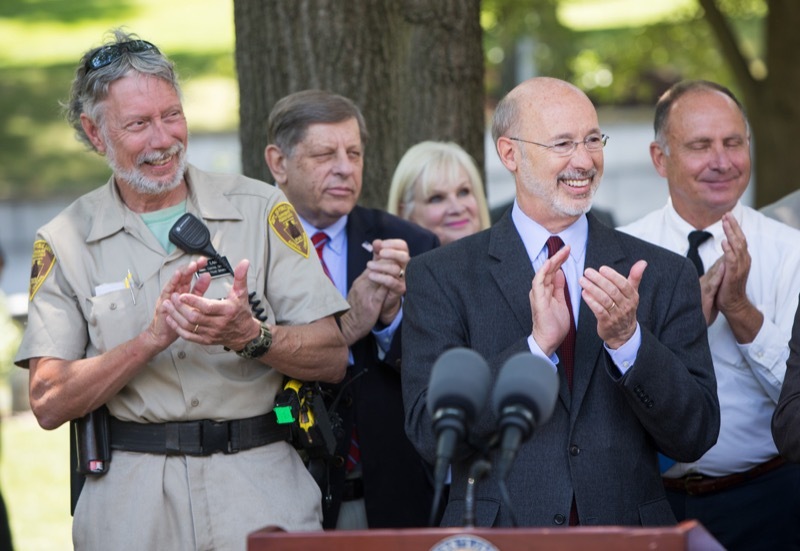 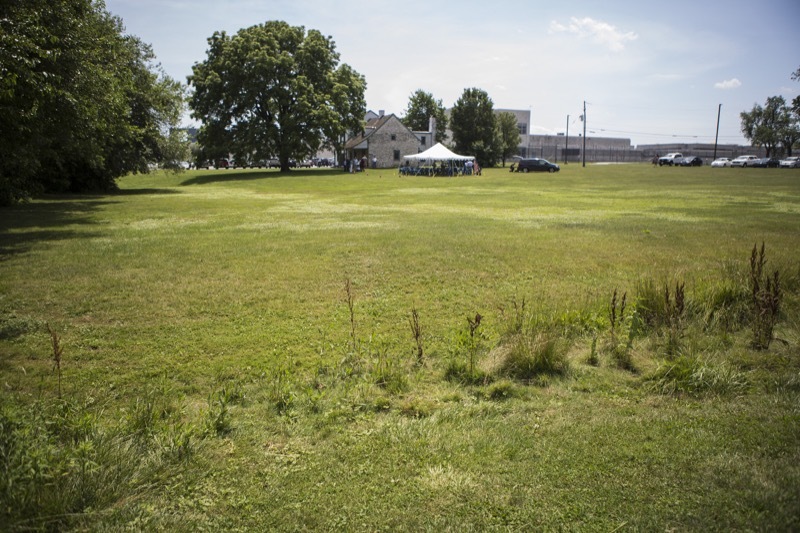 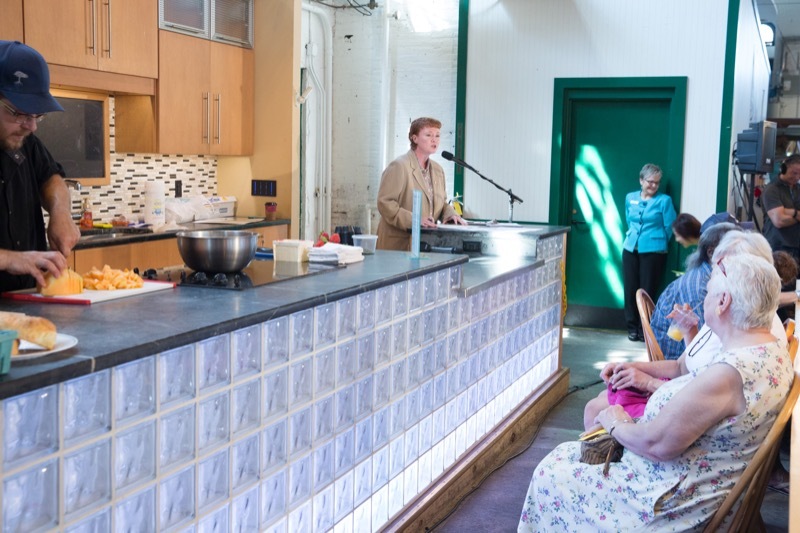 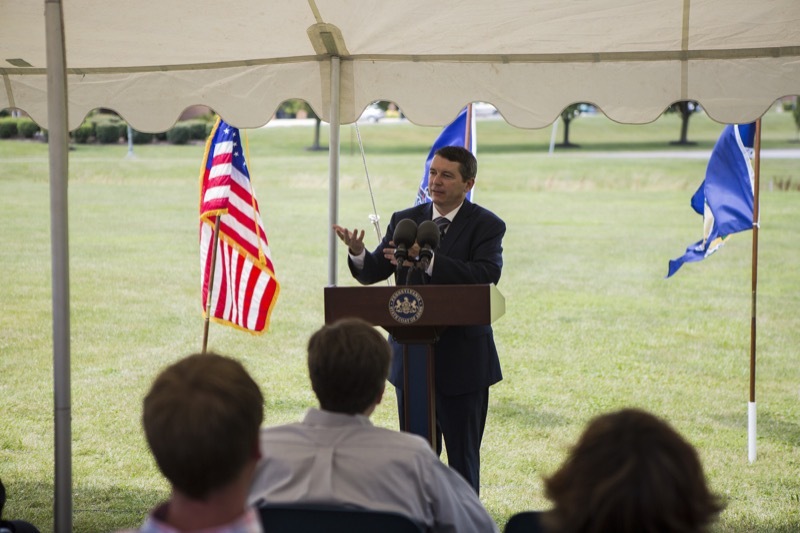 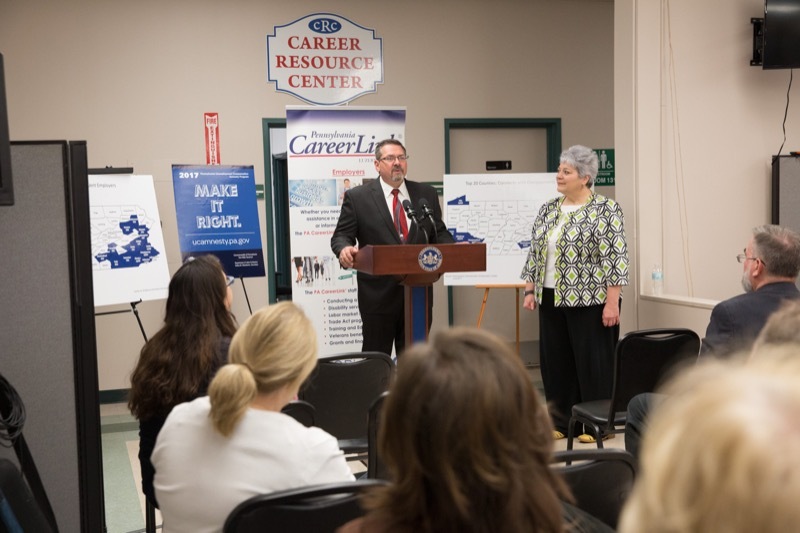 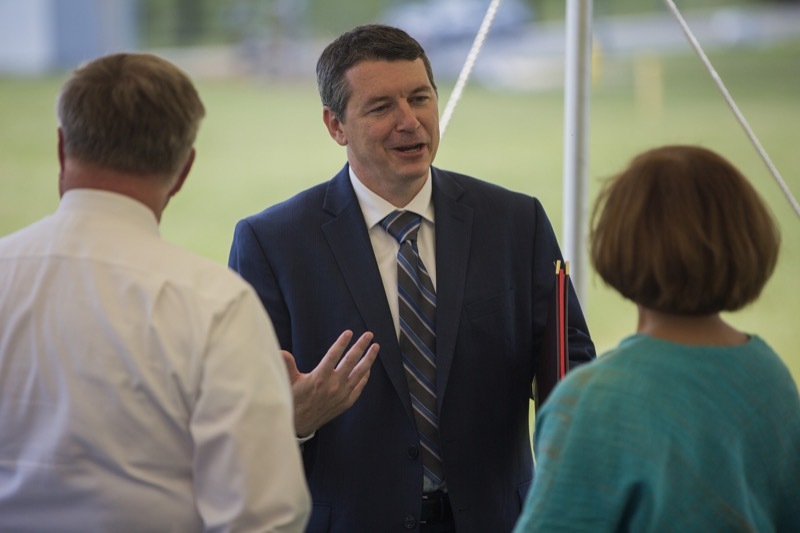 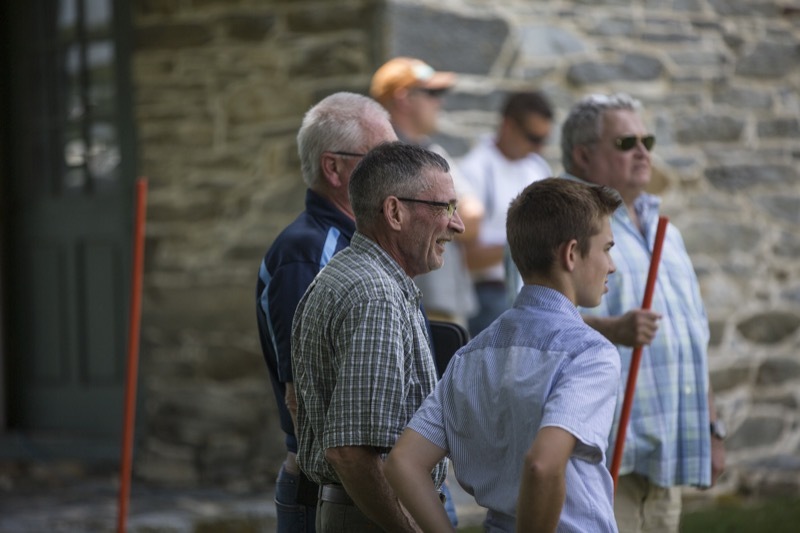 The program is part of the Wolf Administration's strategy for a hunger-free Pennsylvania. 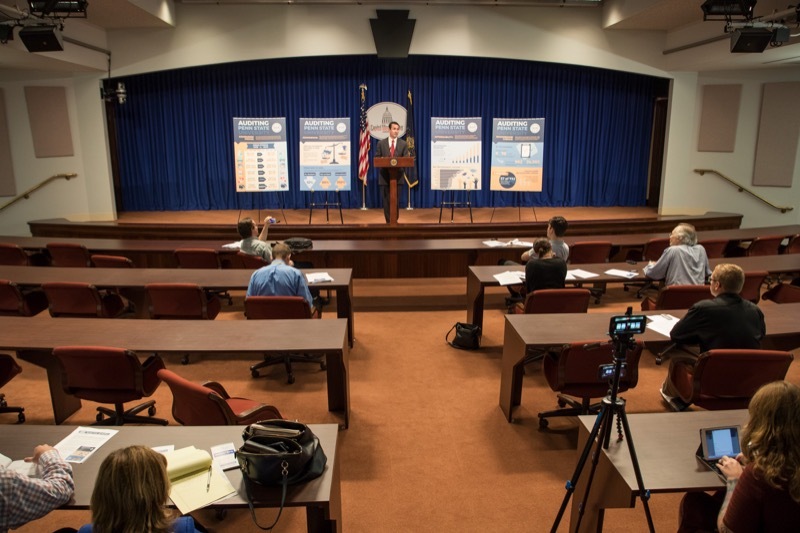 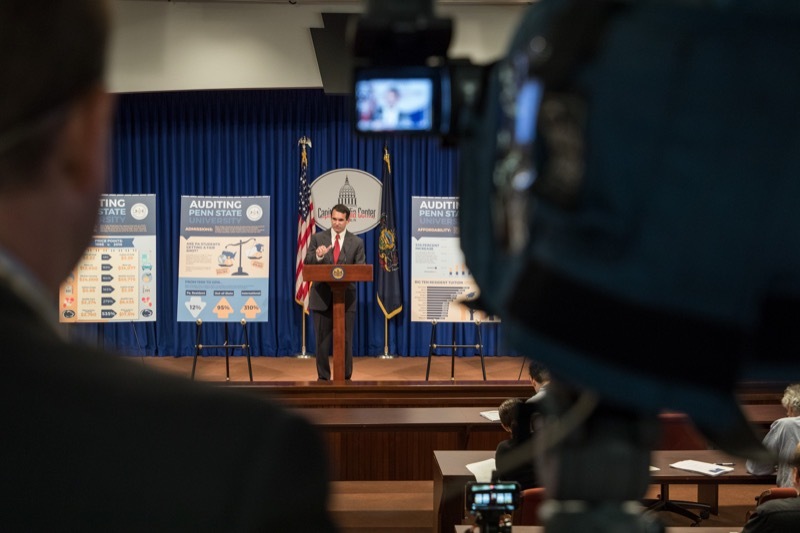 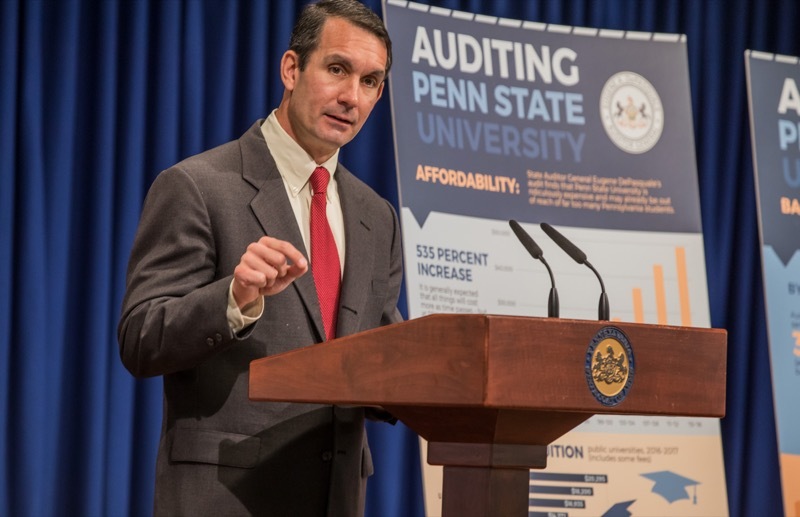 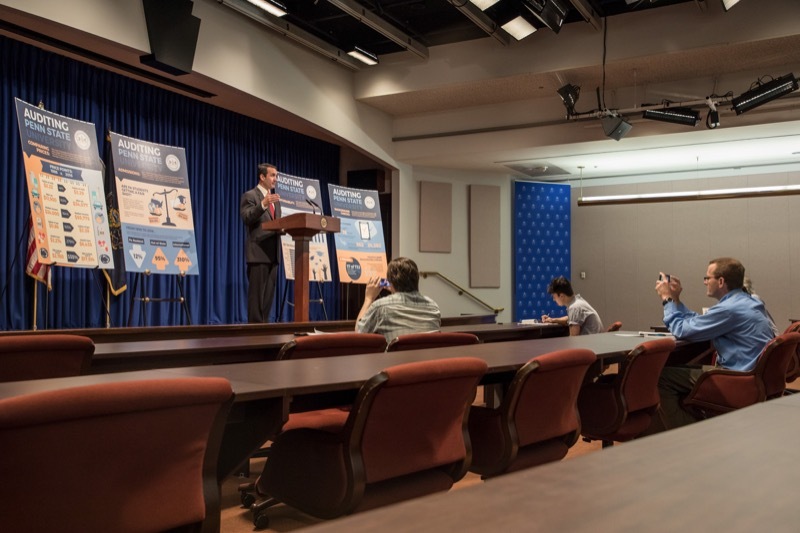 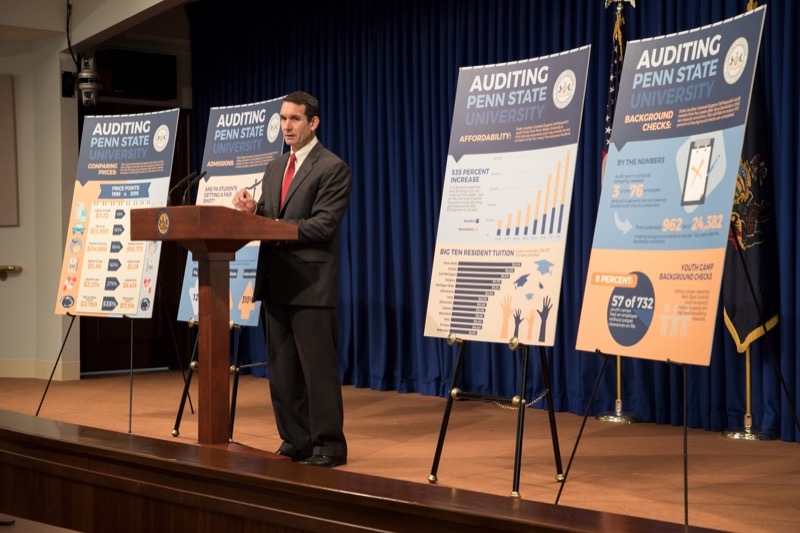 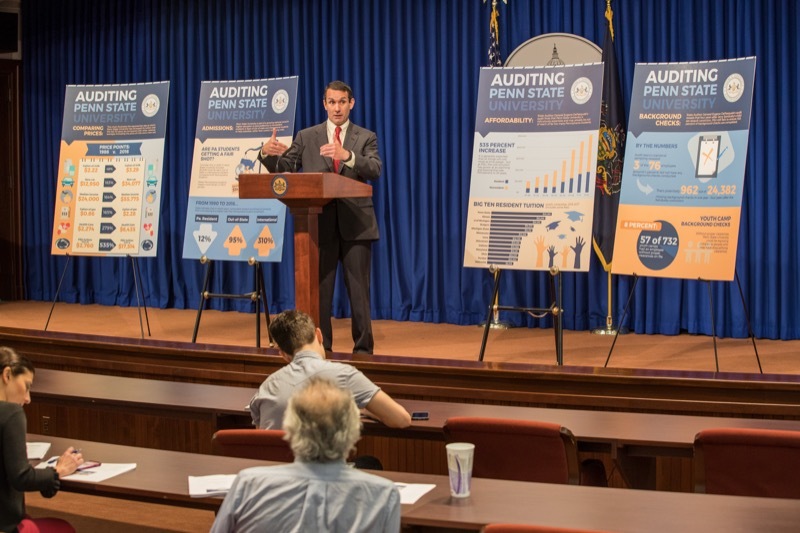 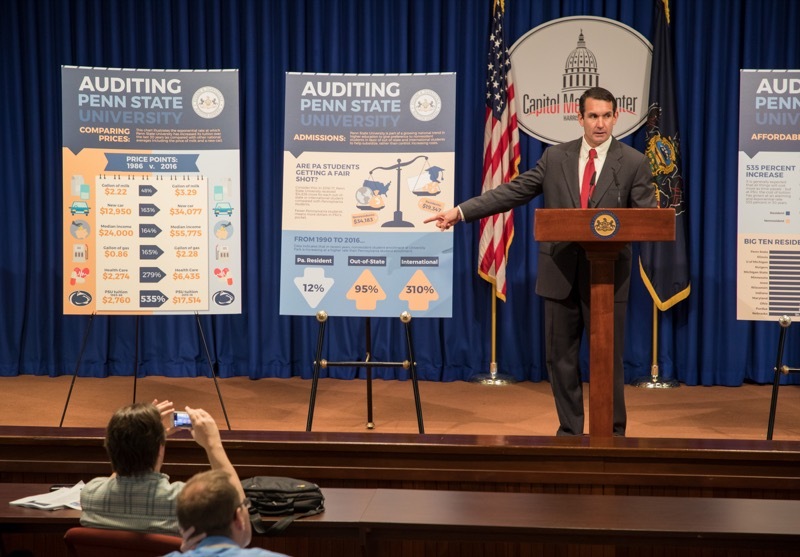 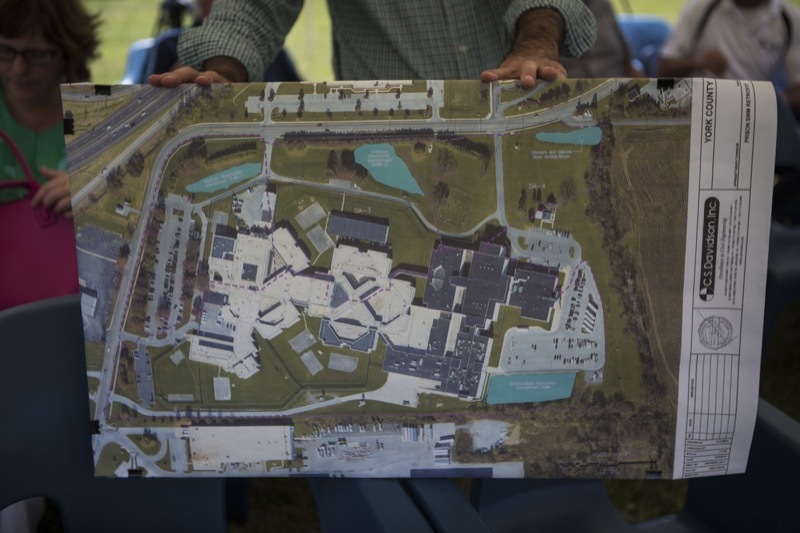 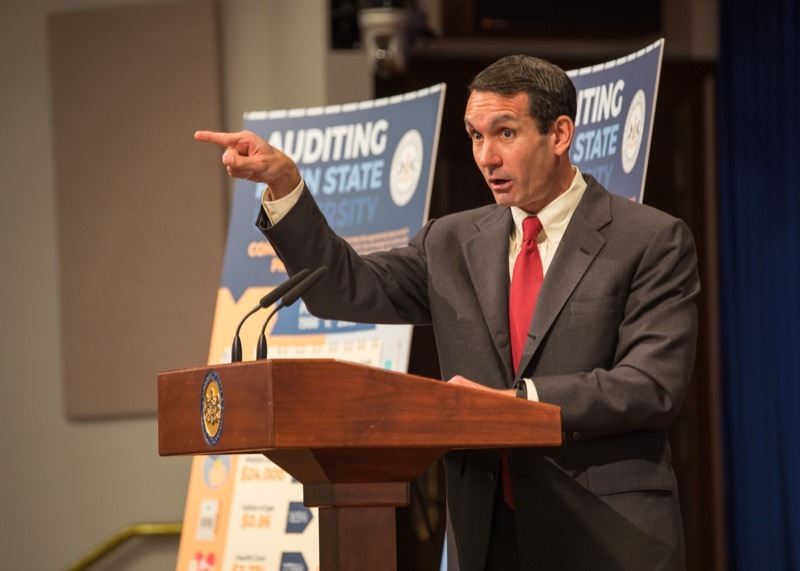 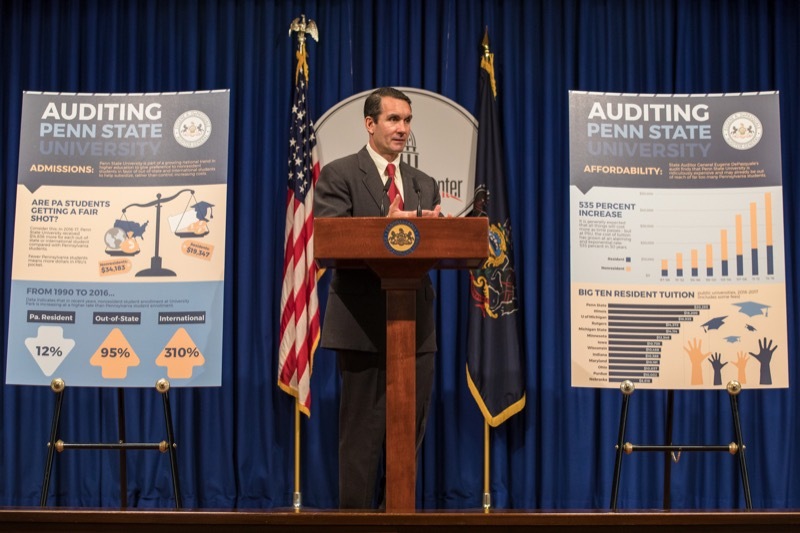 Auditor General Eugene DePasquale today said that a recent audit of The Pennsylvania State University shows the school made some progress since the Sandusky scandal, but the state-related institution needs to improve campus security, prioritize Pennsylvania students and be subject to open records law.